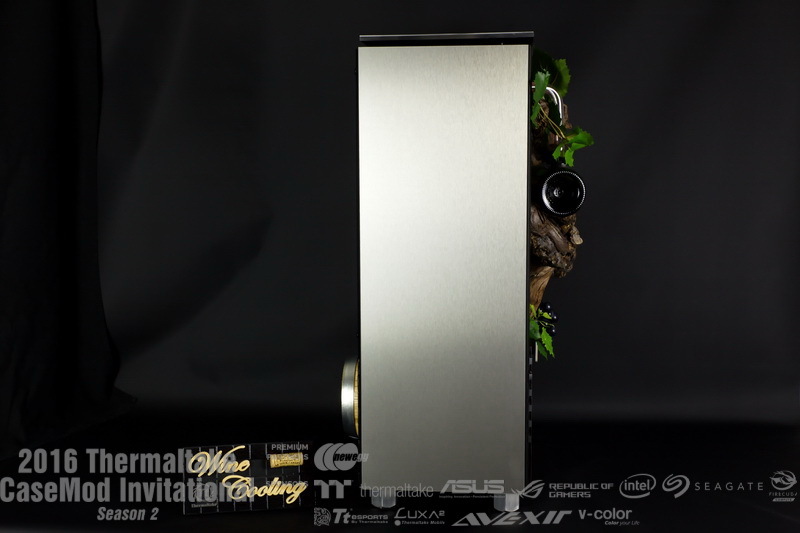 - "hello! 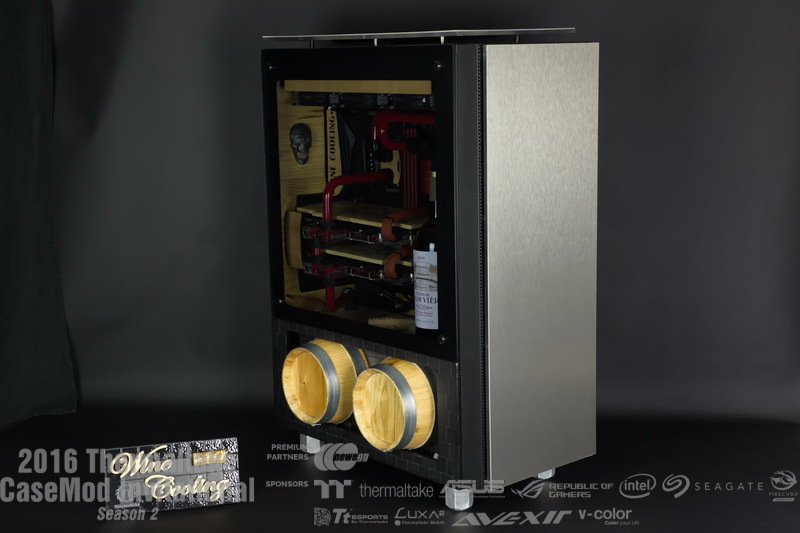 last straight line...."
- "then, I present you our mod! 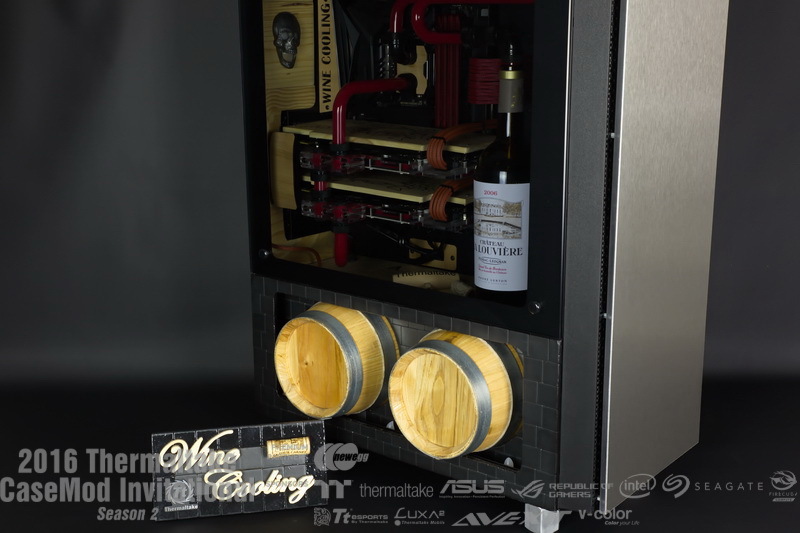 Wine Cooling "
- "well! 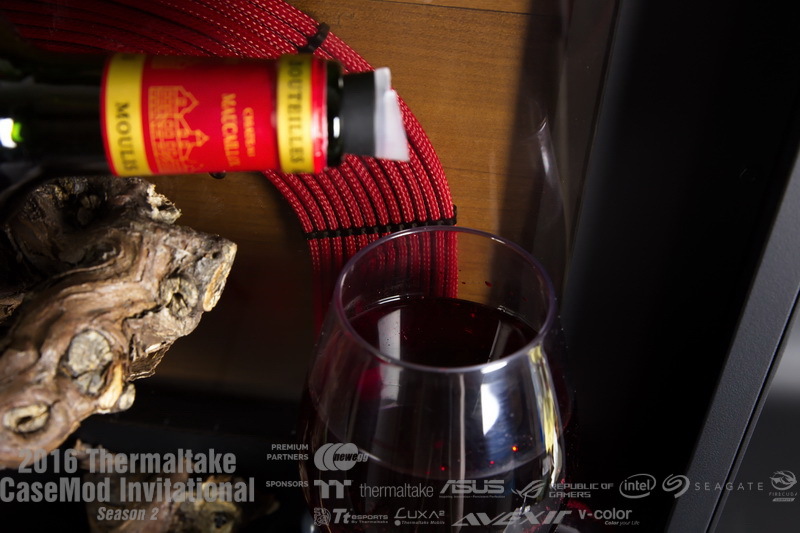 not really wine but not so far "
- "I'm starting to stress....."
- "yes! 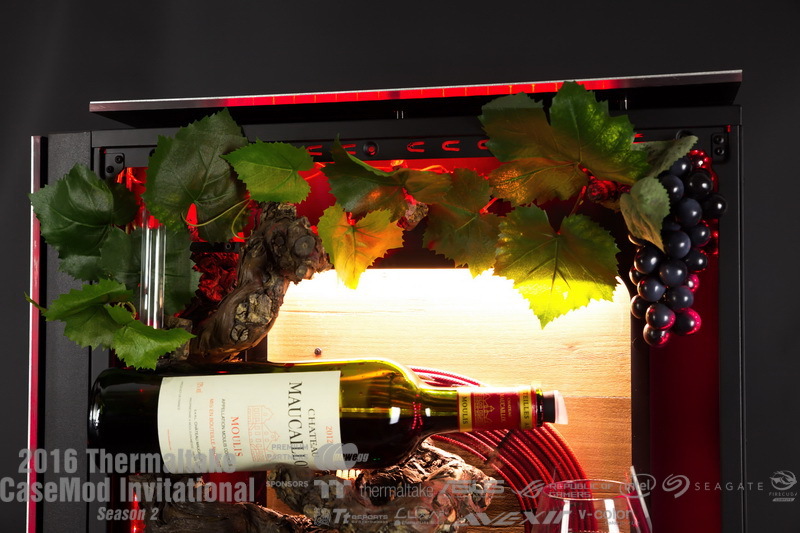 serve me a small glass of red wine, please....."
- "a little remounting and I attack the presentation....."
- "so! 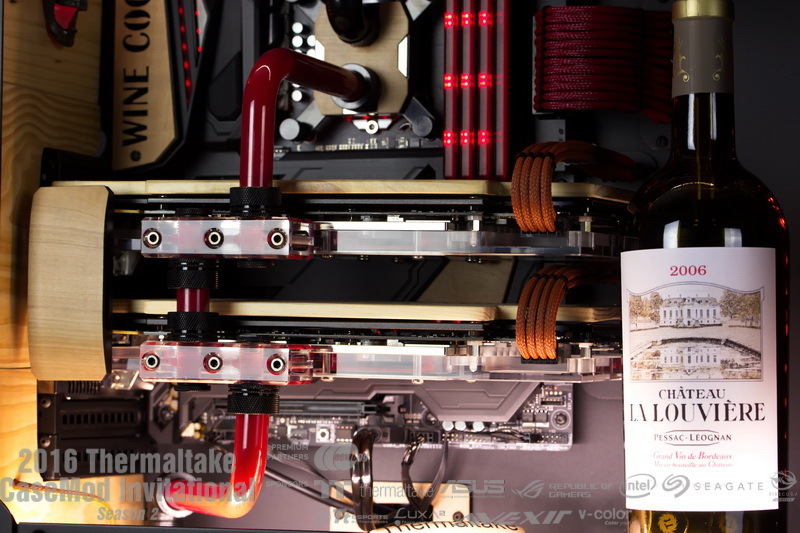 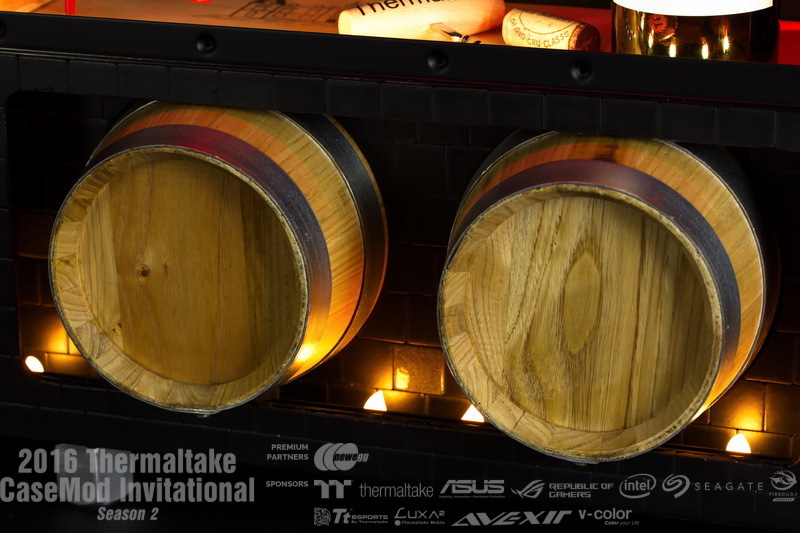 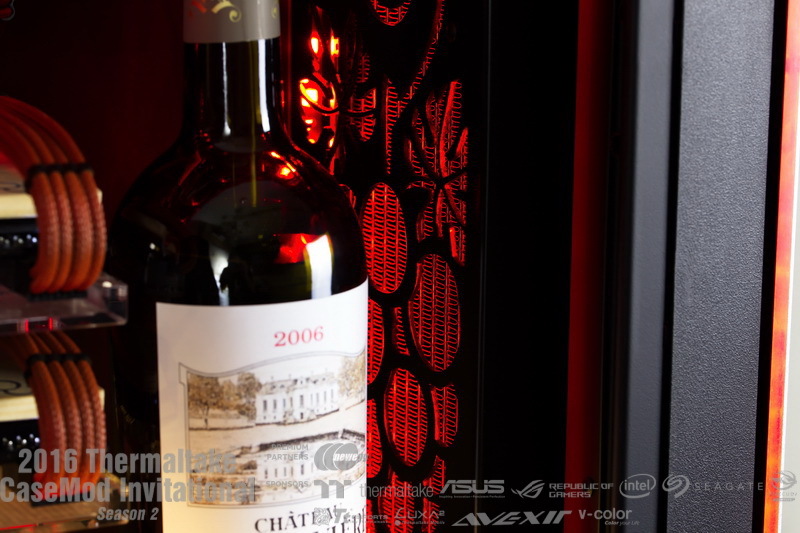 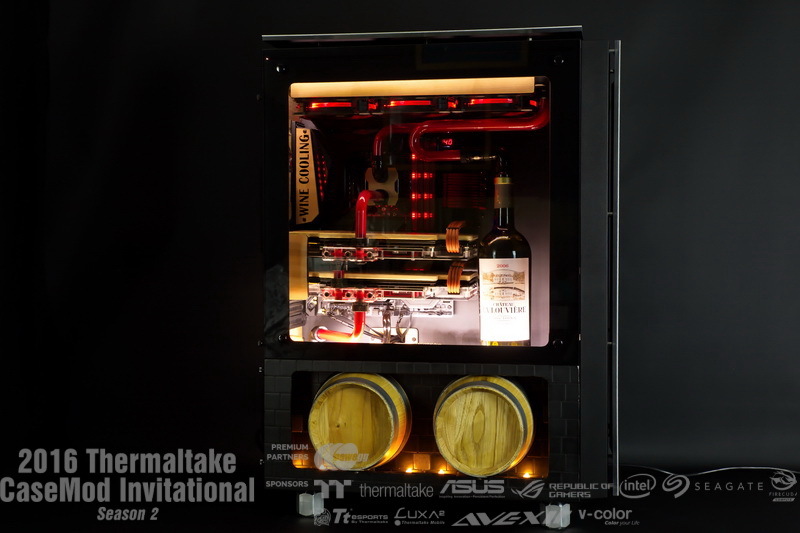 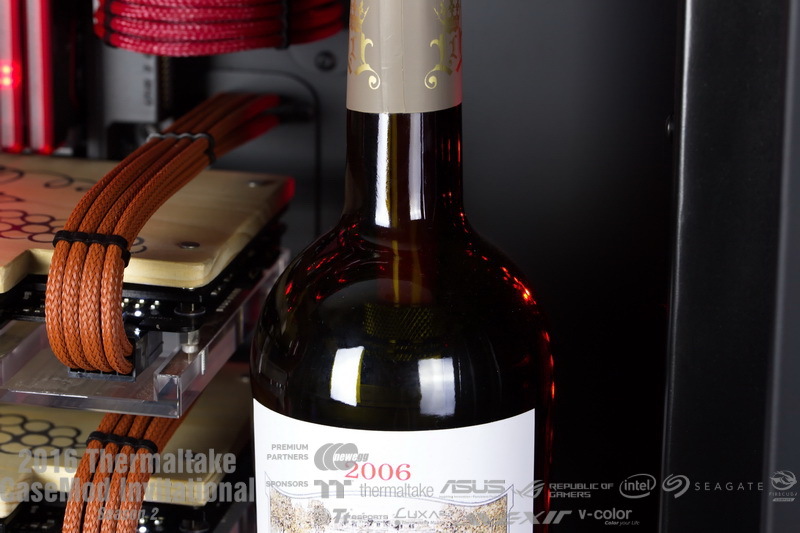 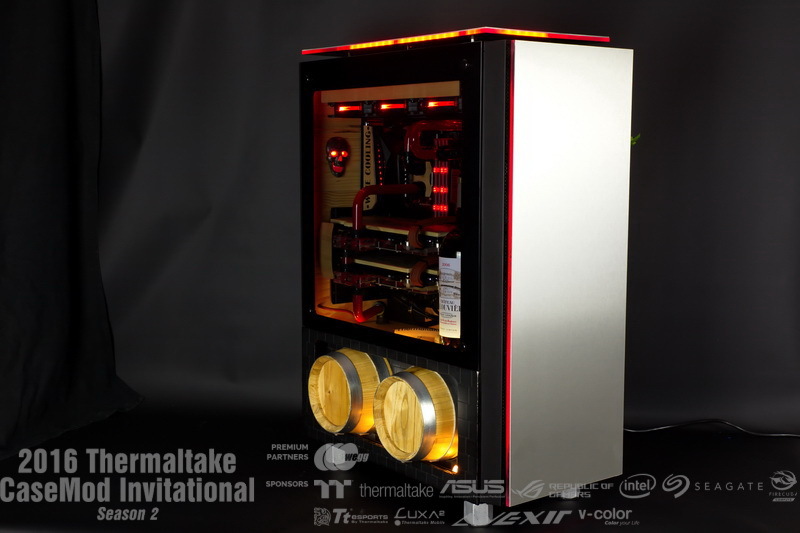 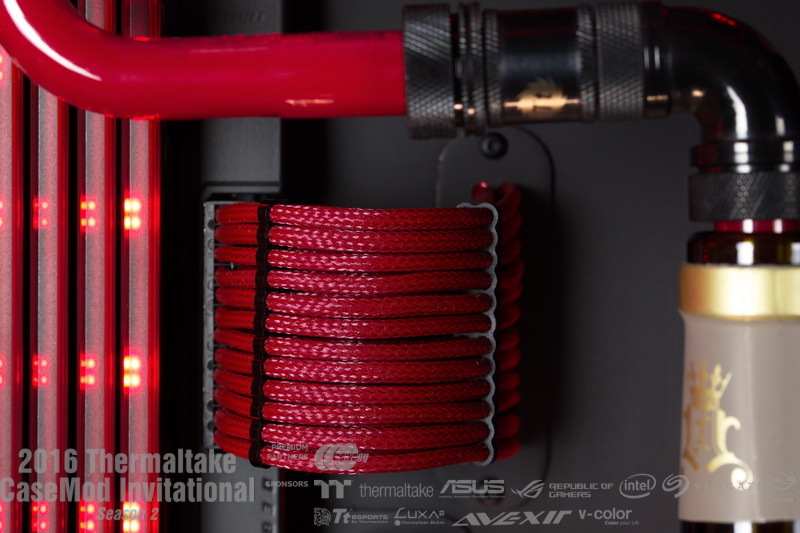 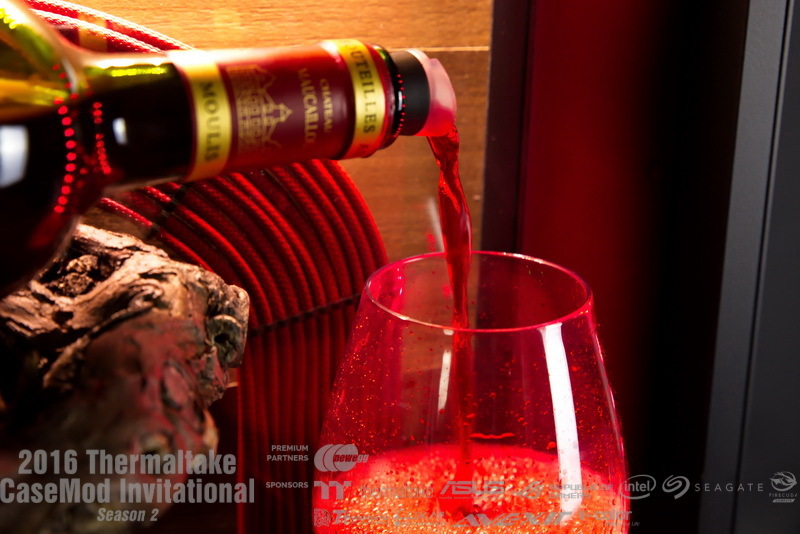 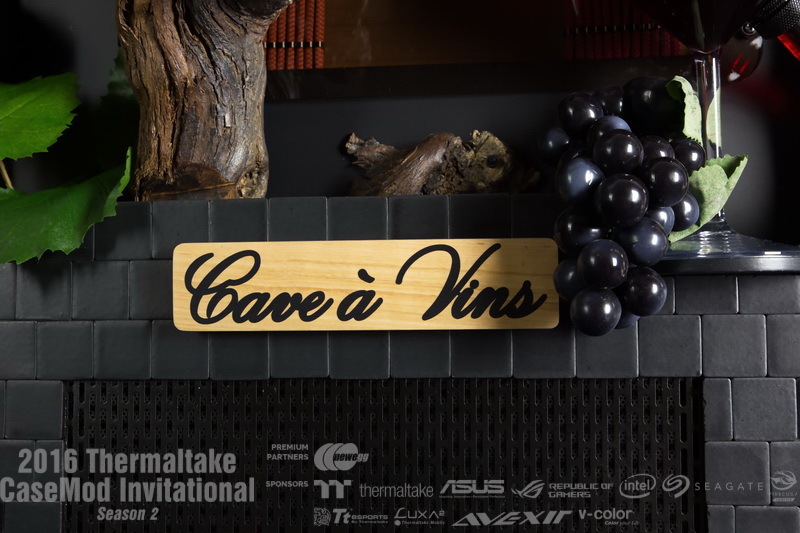 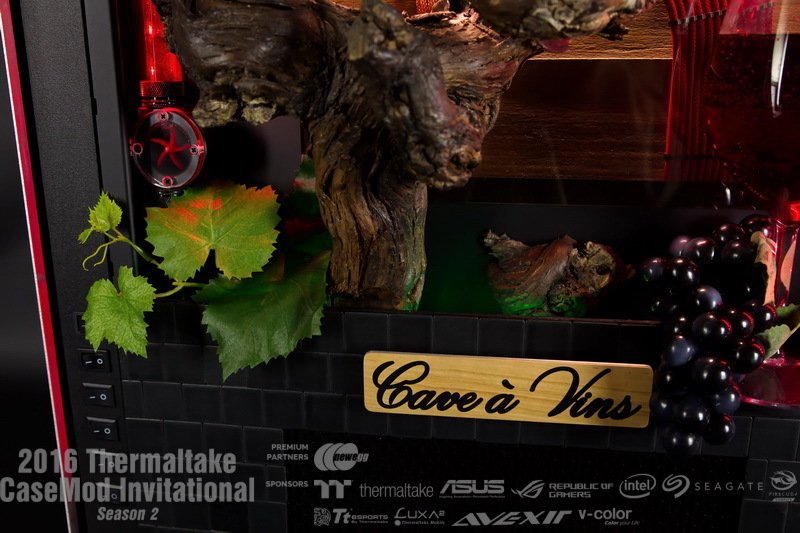 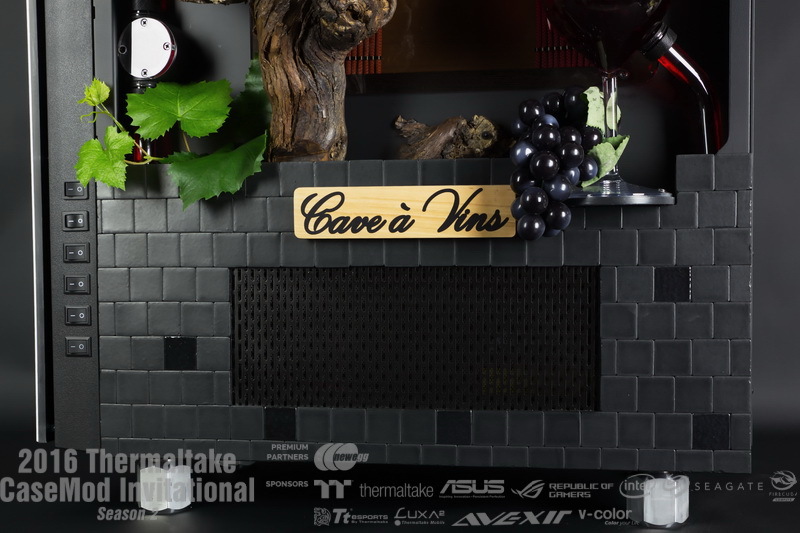 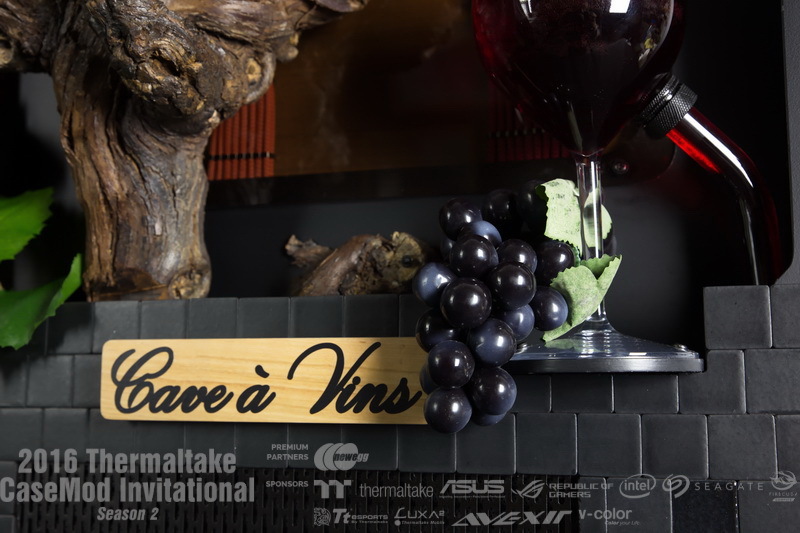 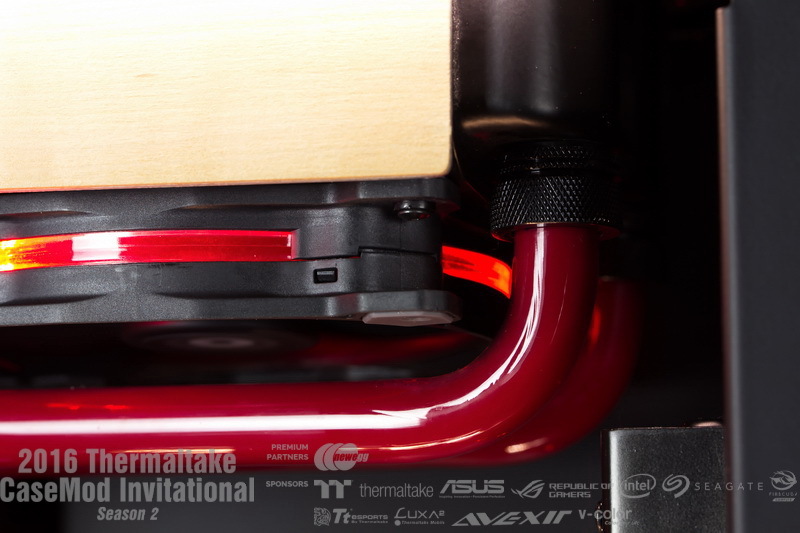 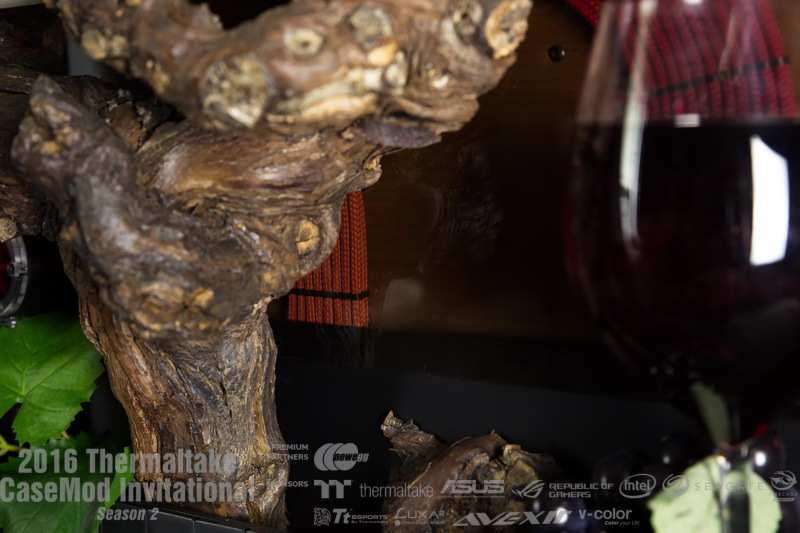 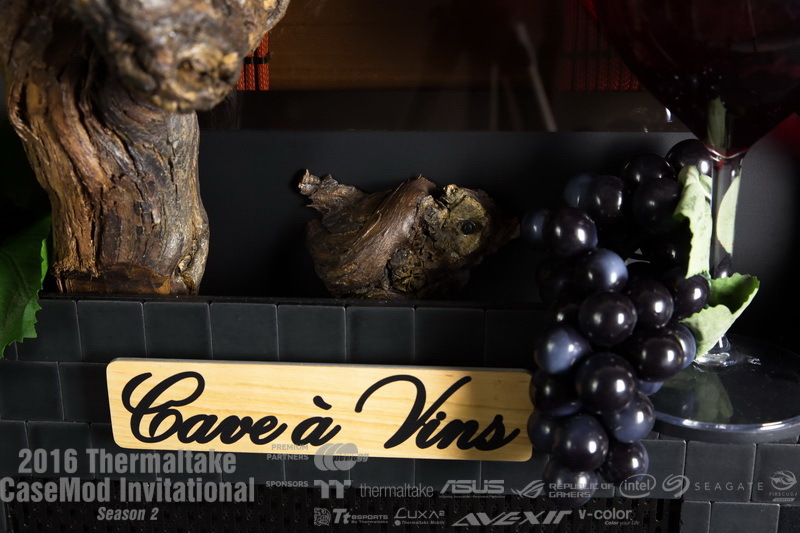 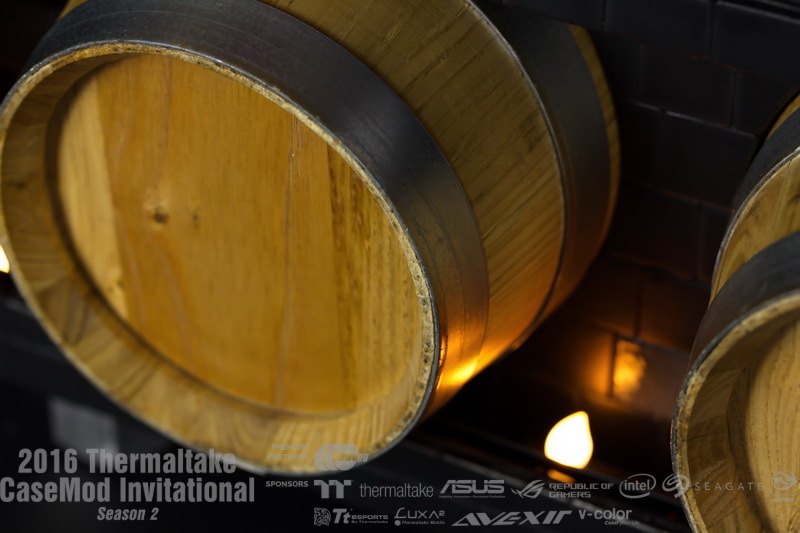 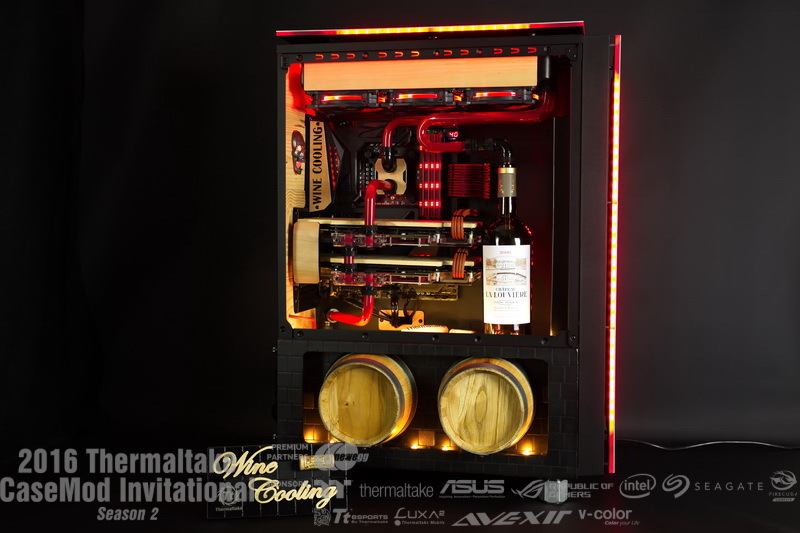 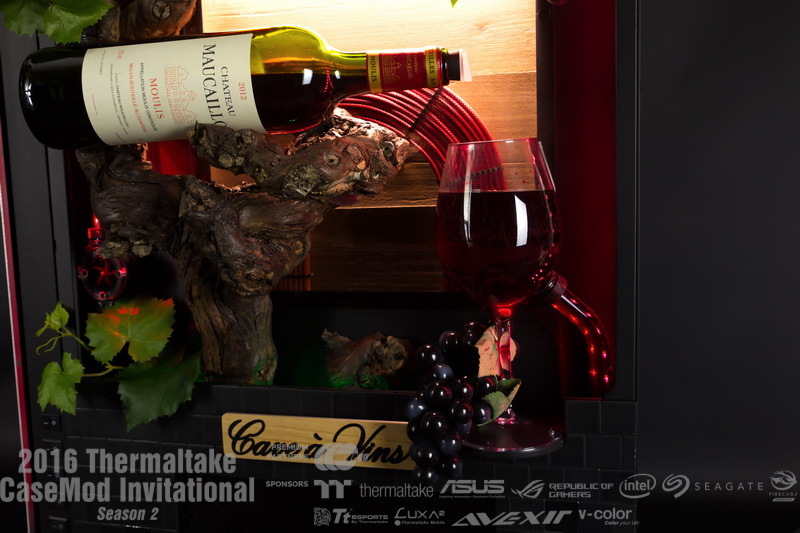 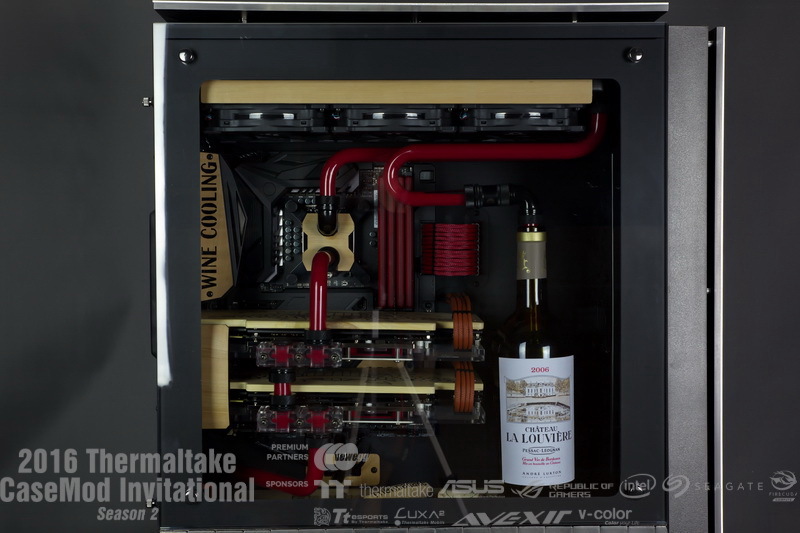 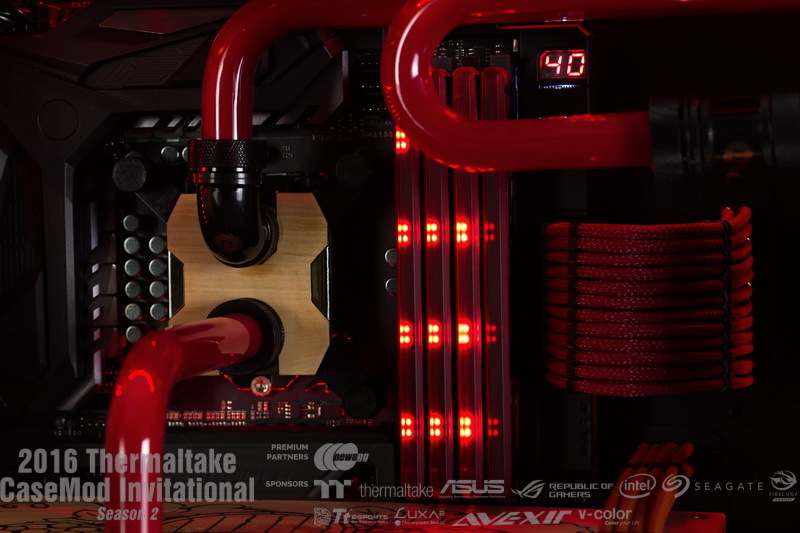 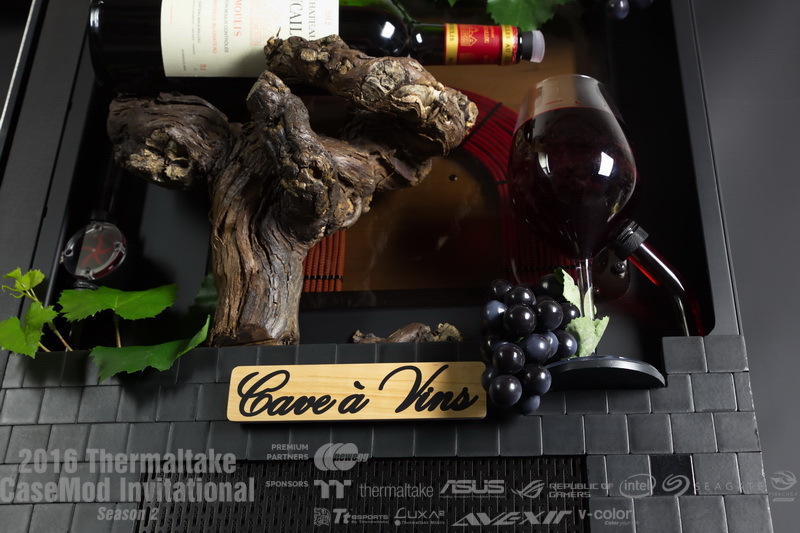 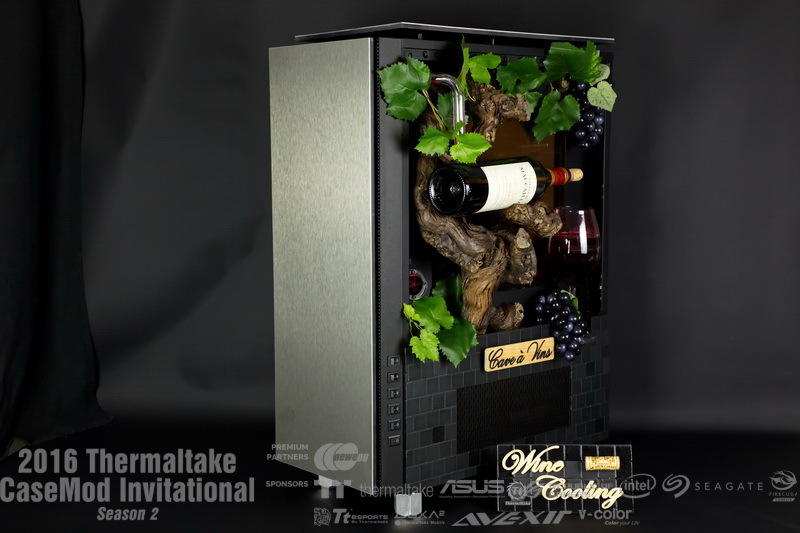 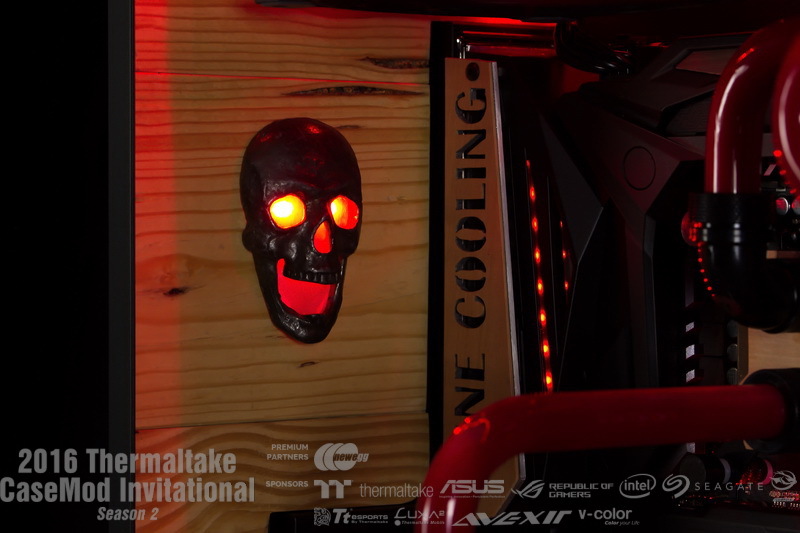 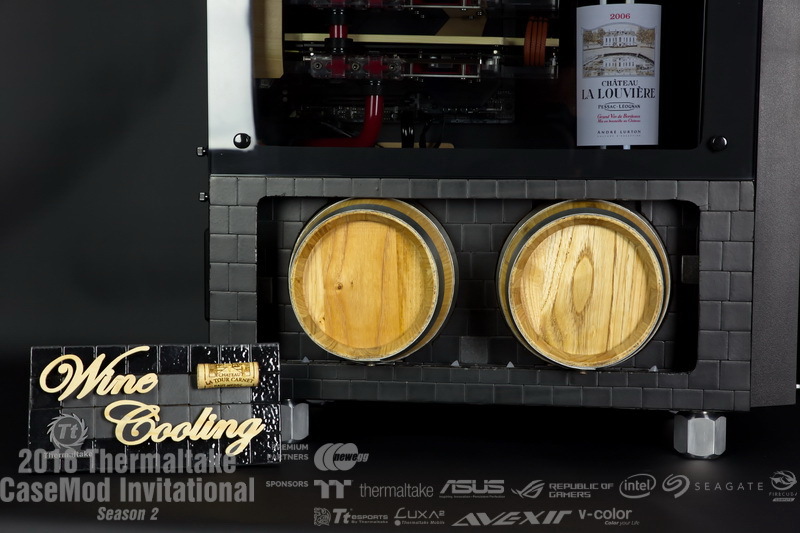 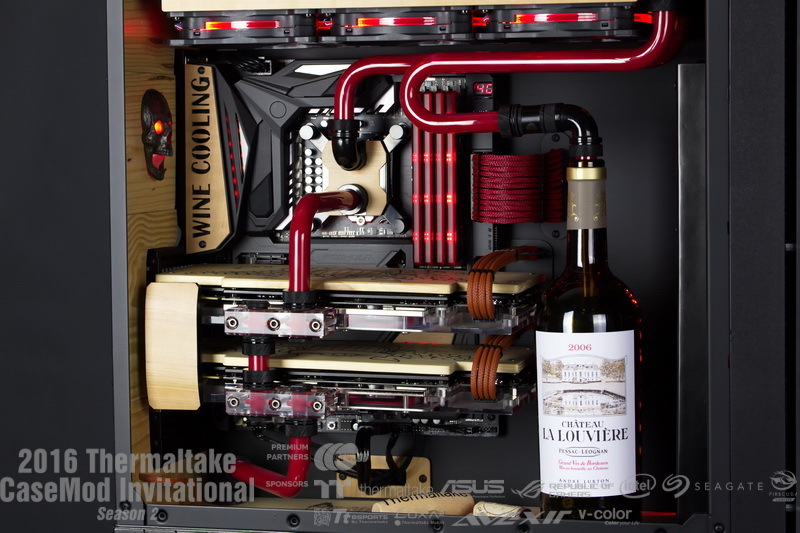 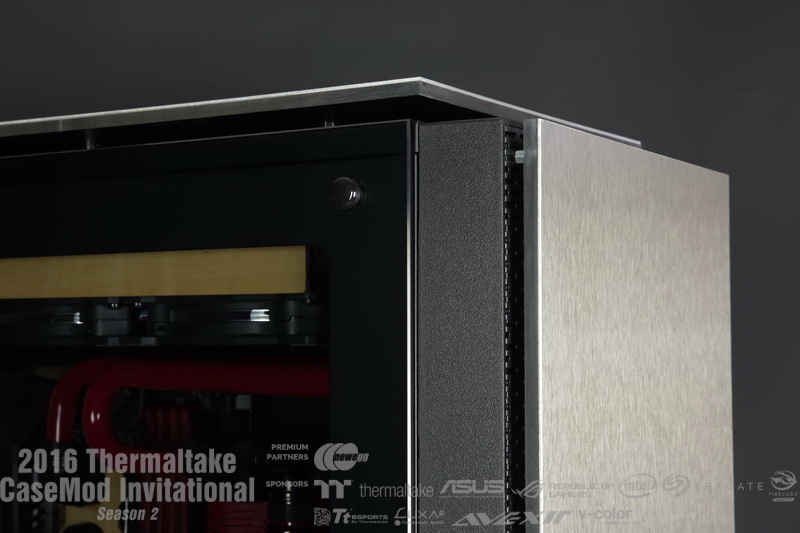 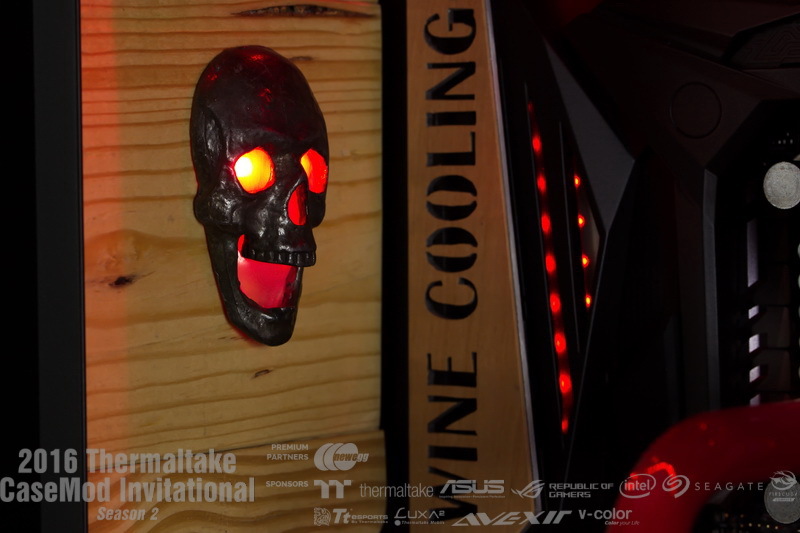 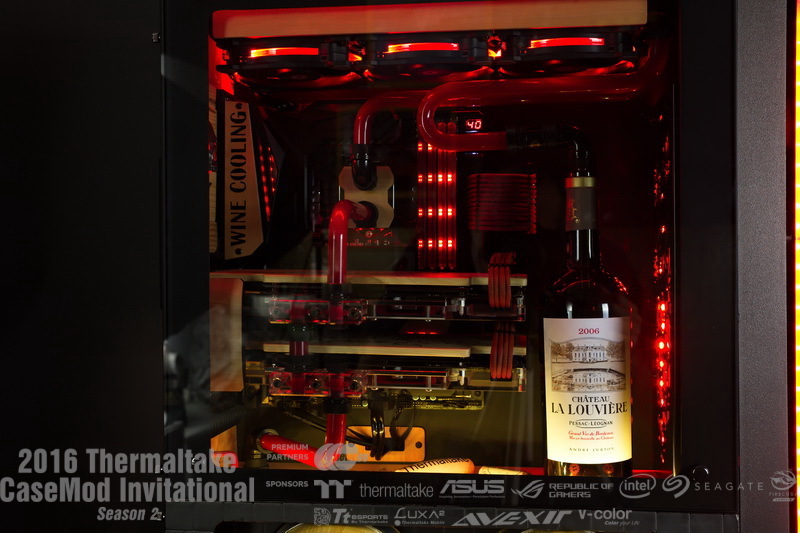 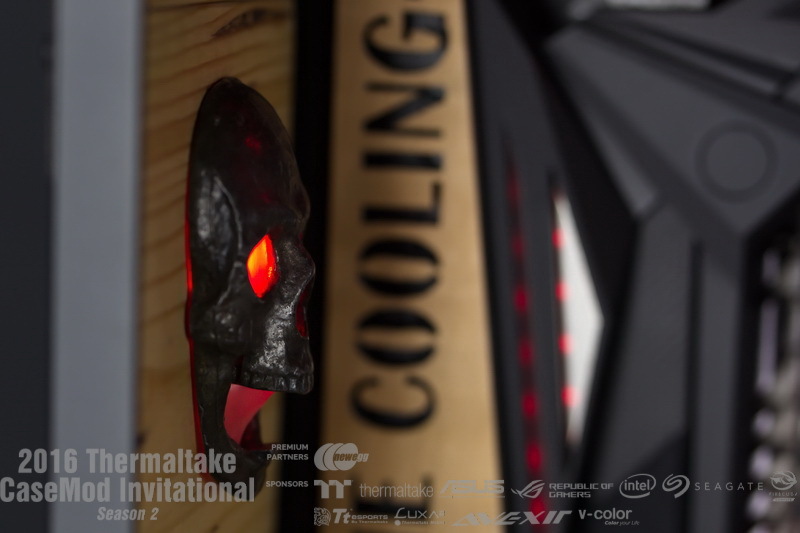 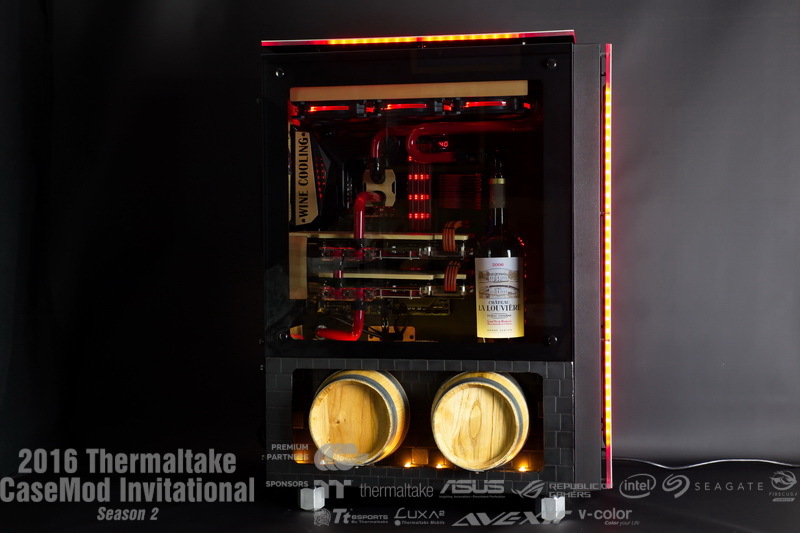 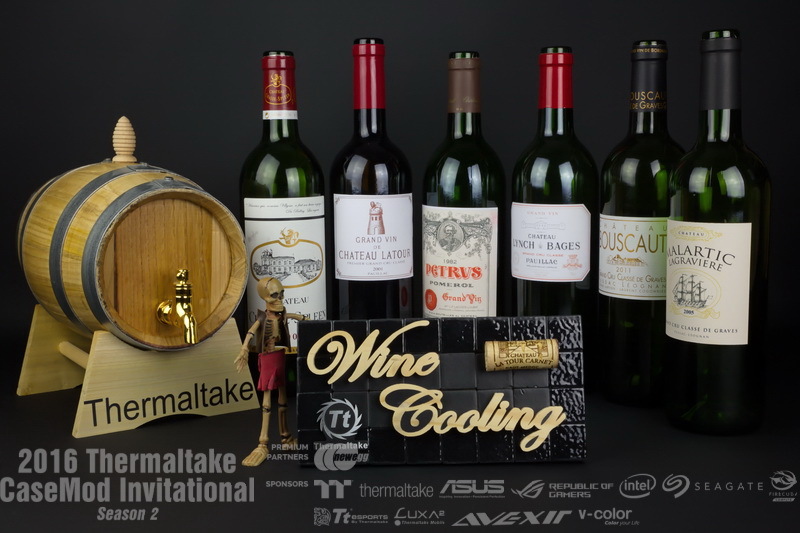 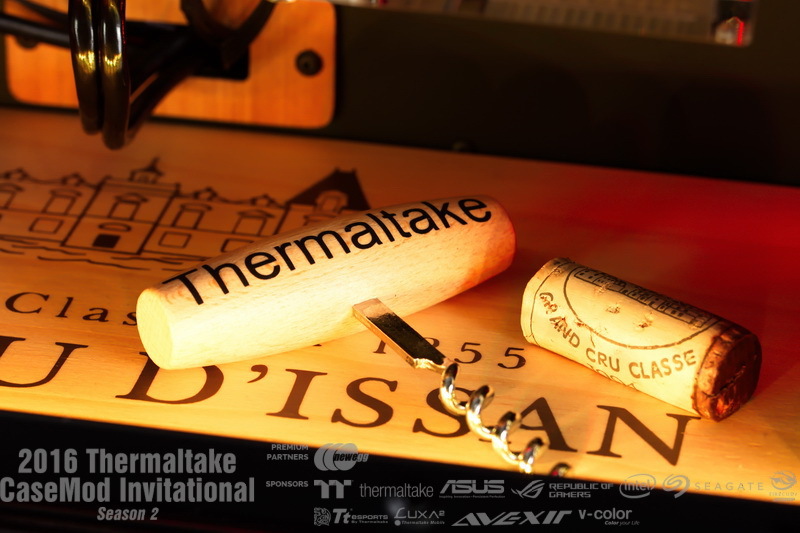 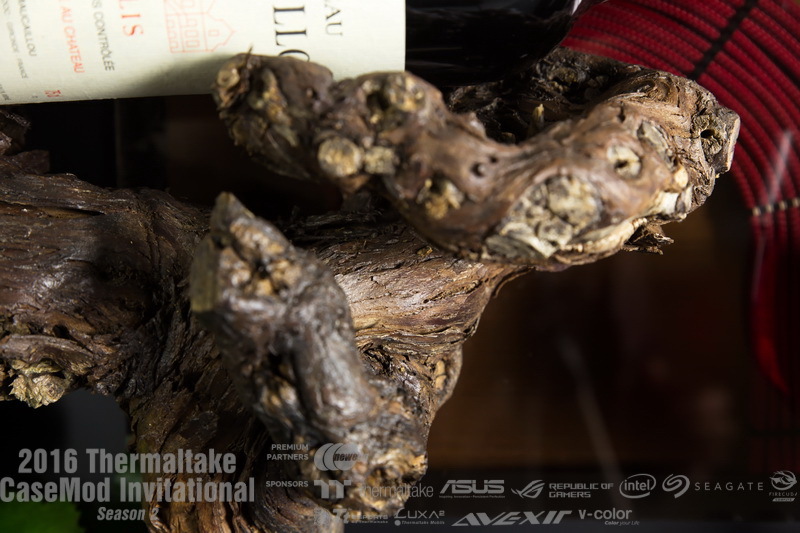 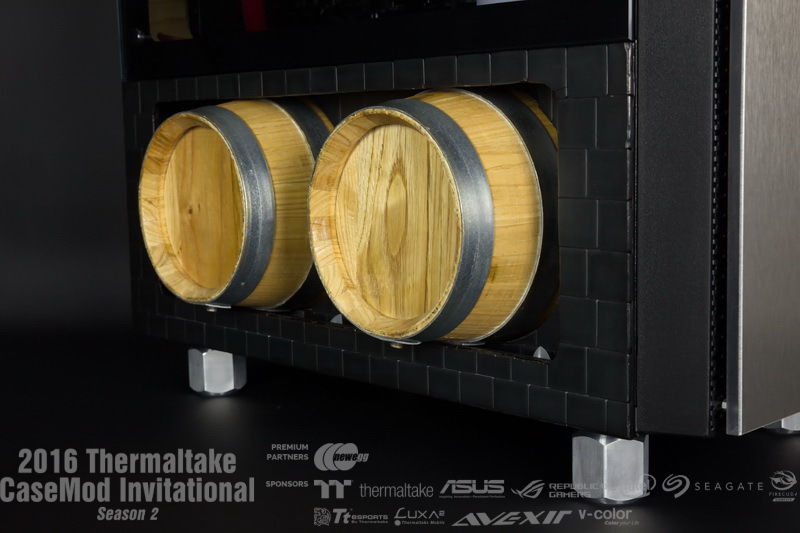 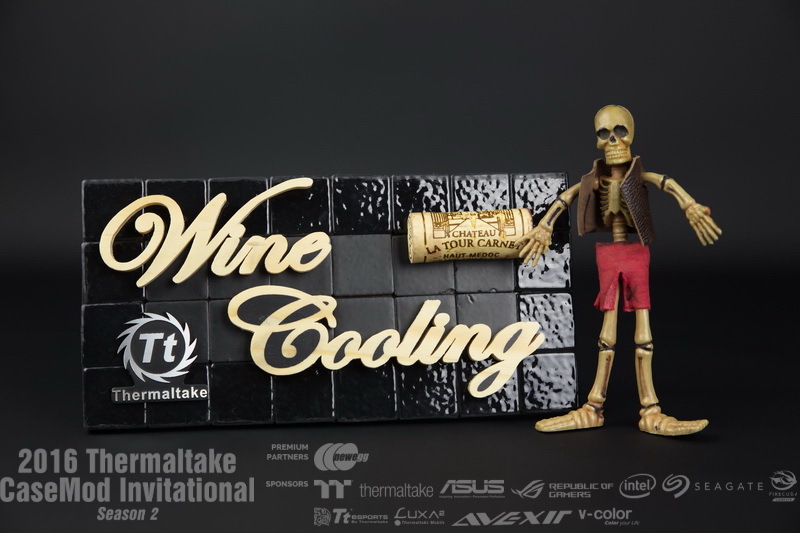 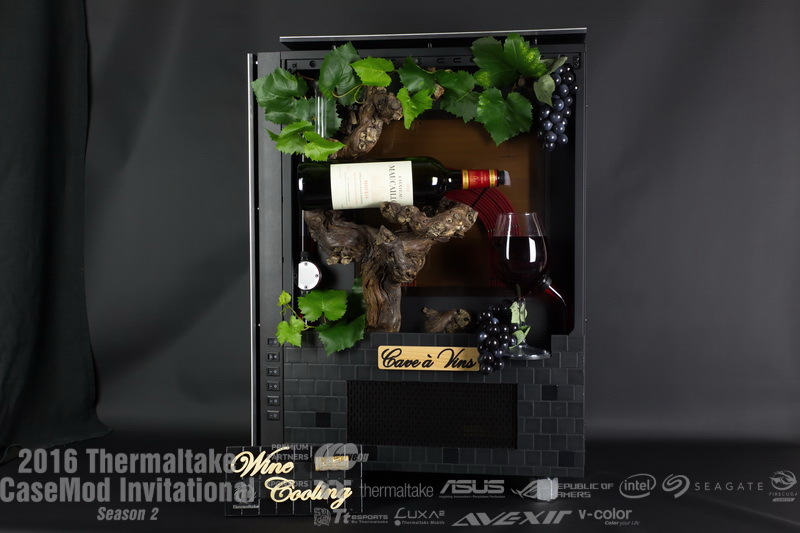 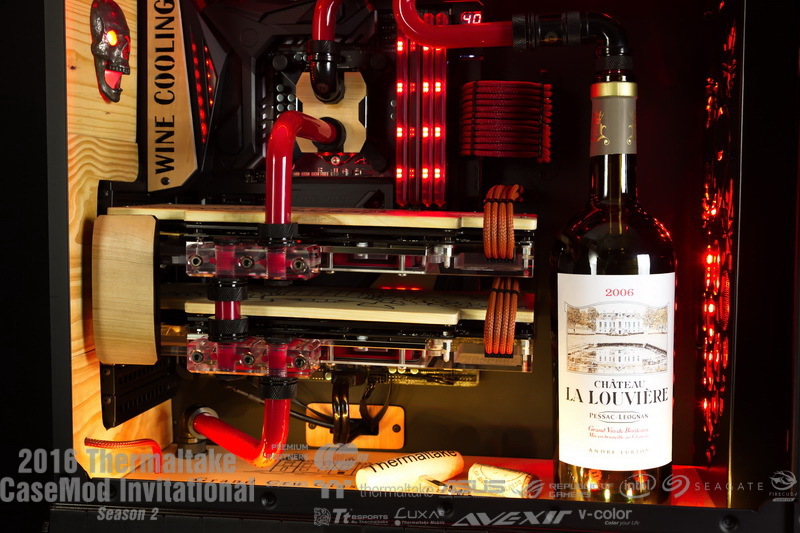 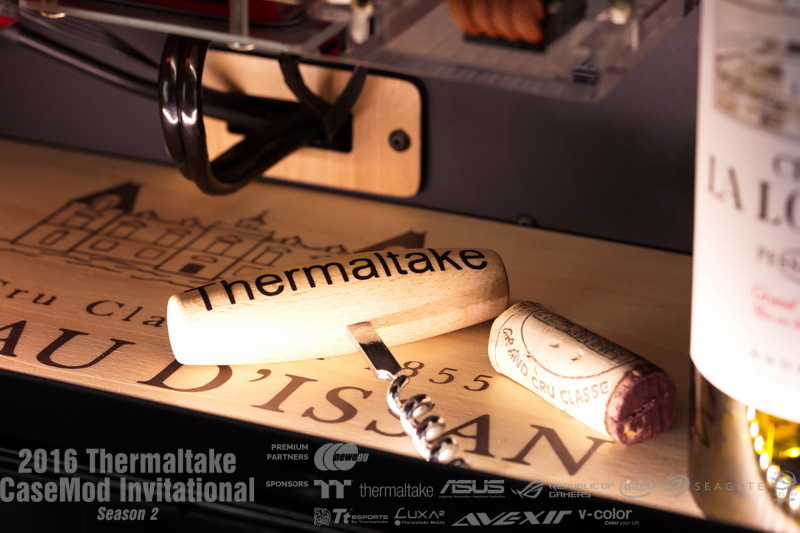 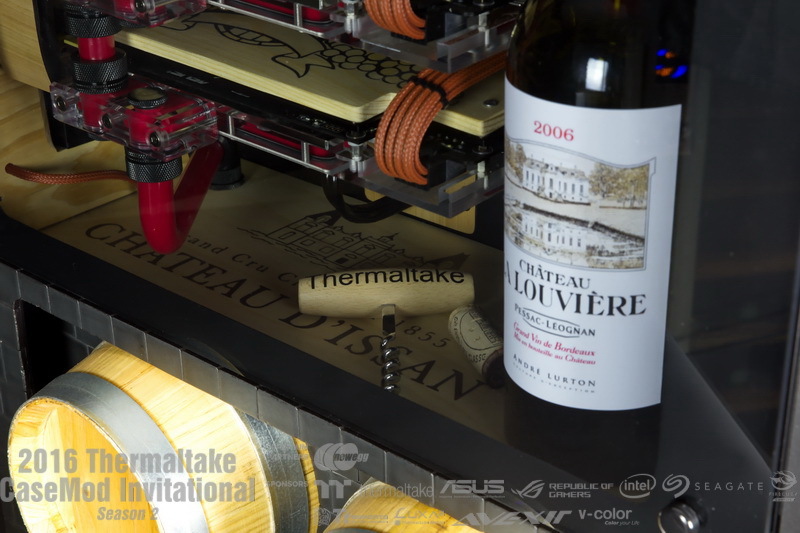 I present you our new mod"
- "ok.... the theme is based about red wine"
- "ok.... the french touch mod "
and the wine cooling ??? 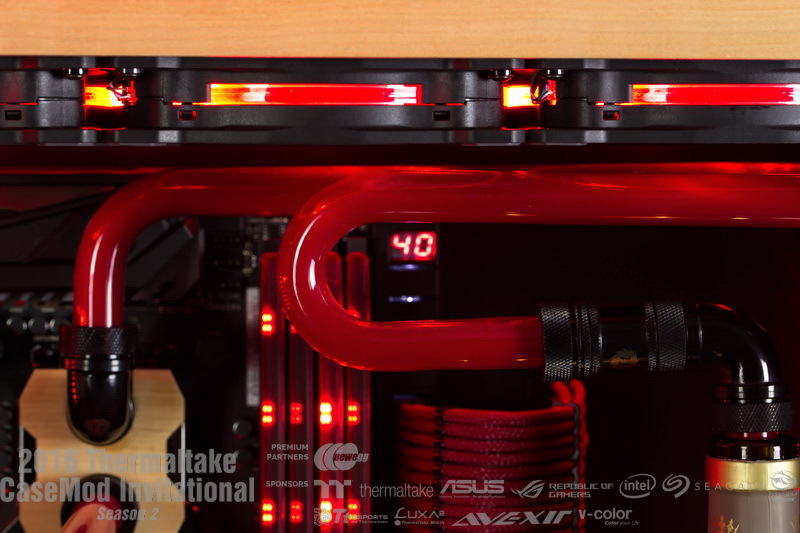 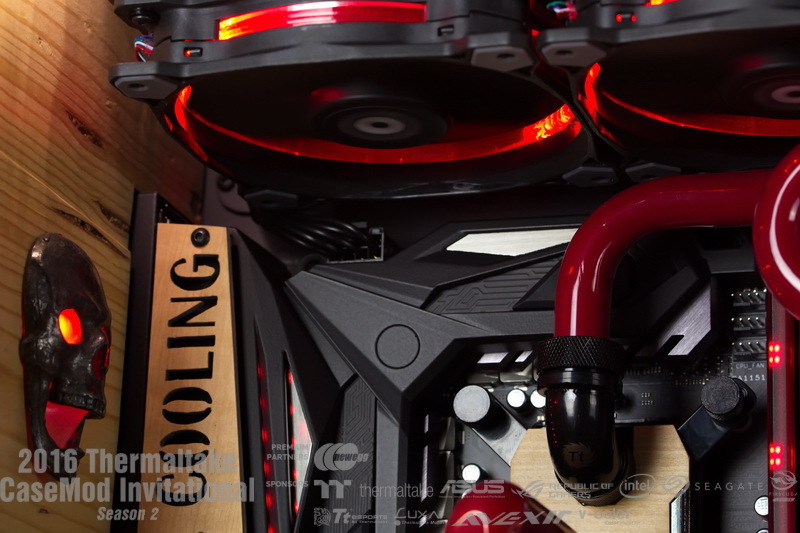 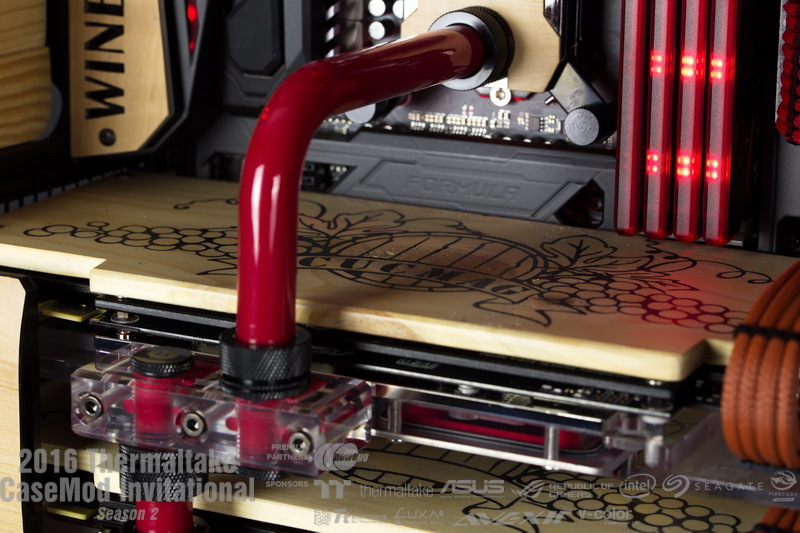 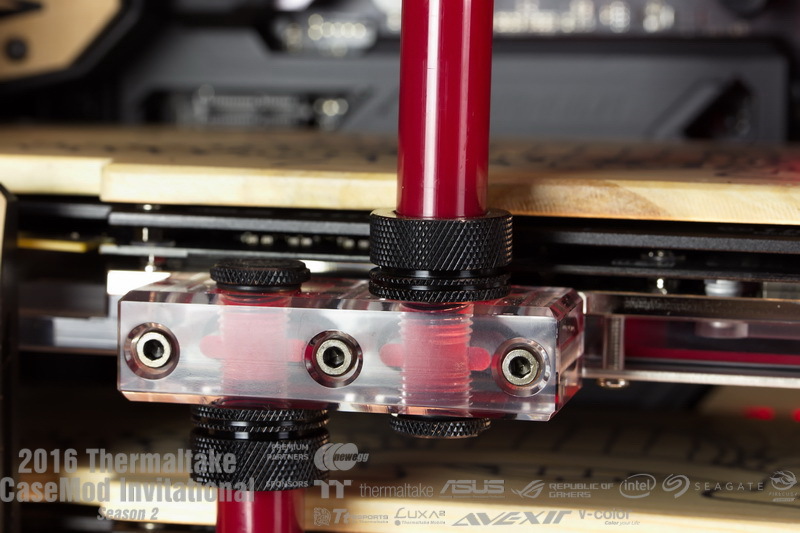 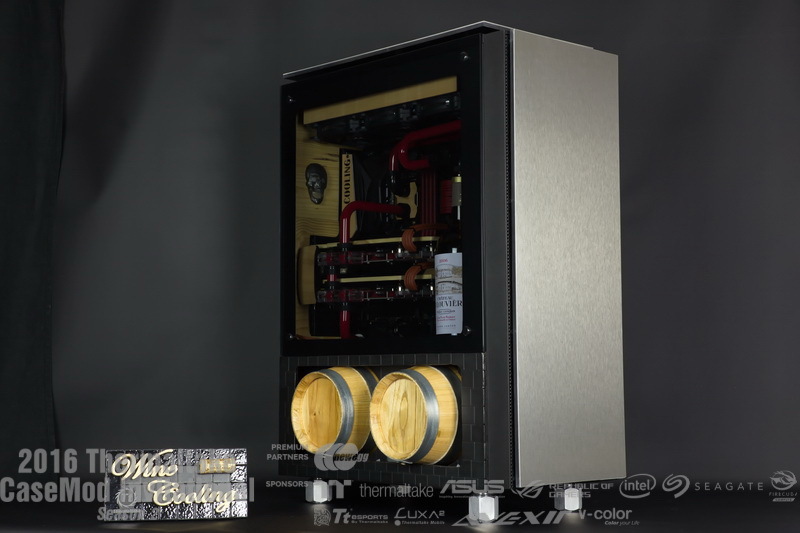 There is sooo much to love in this build! 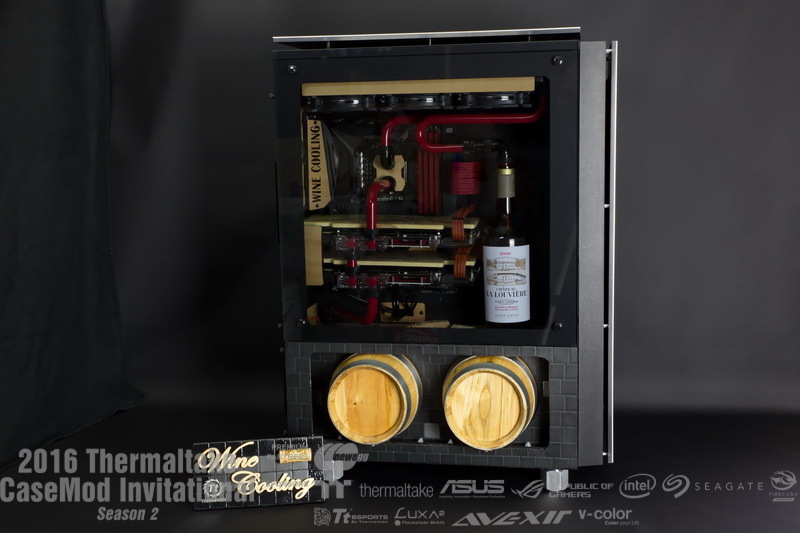 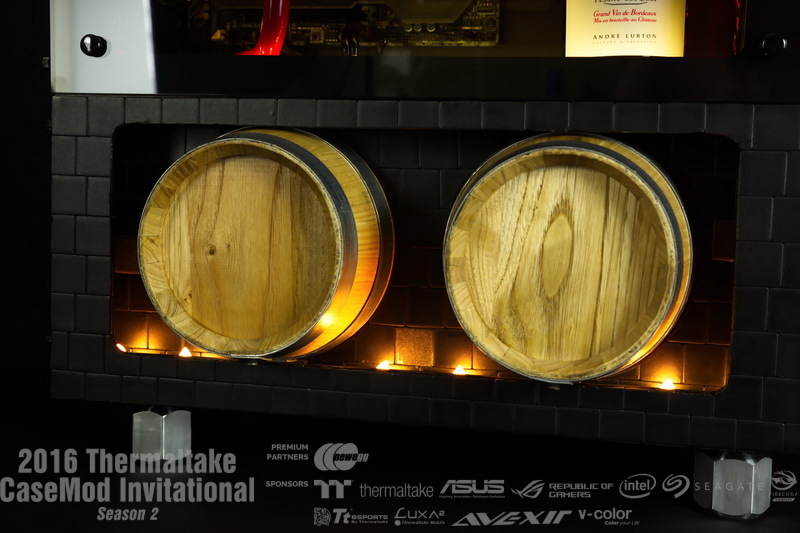 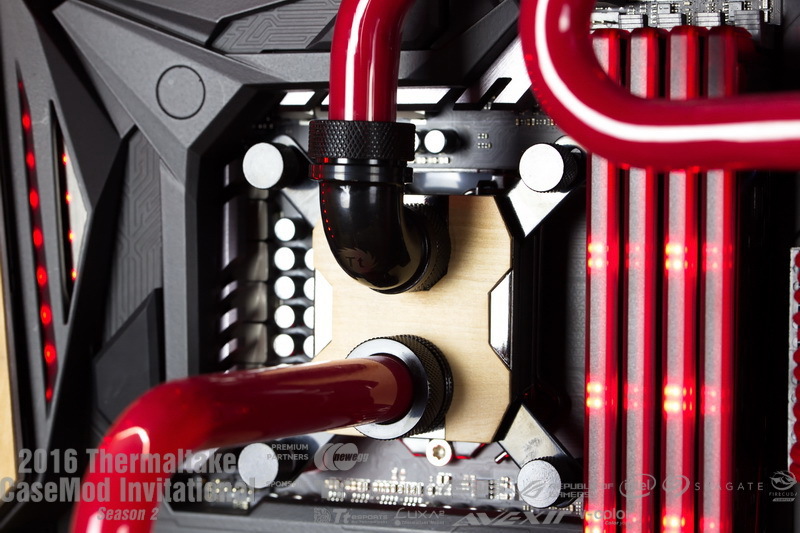 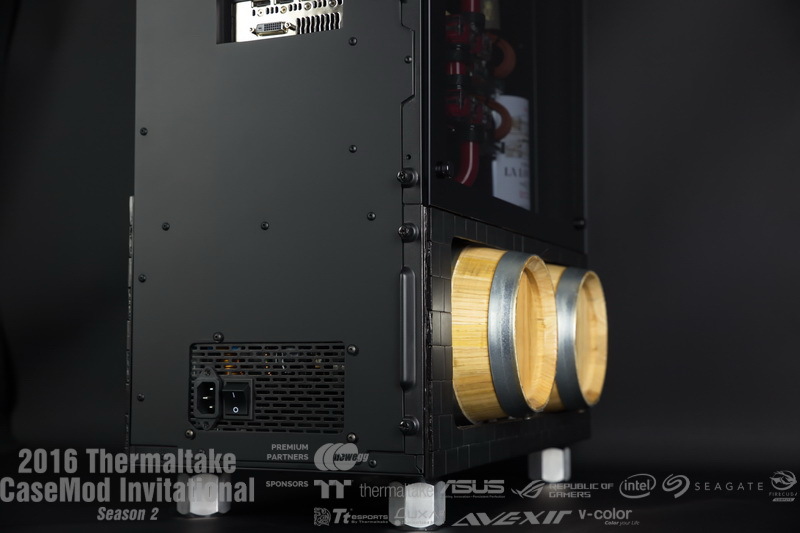 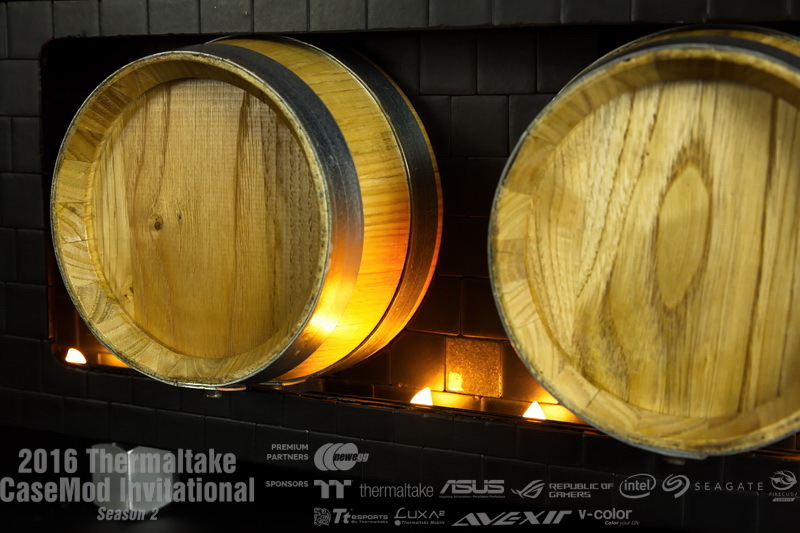 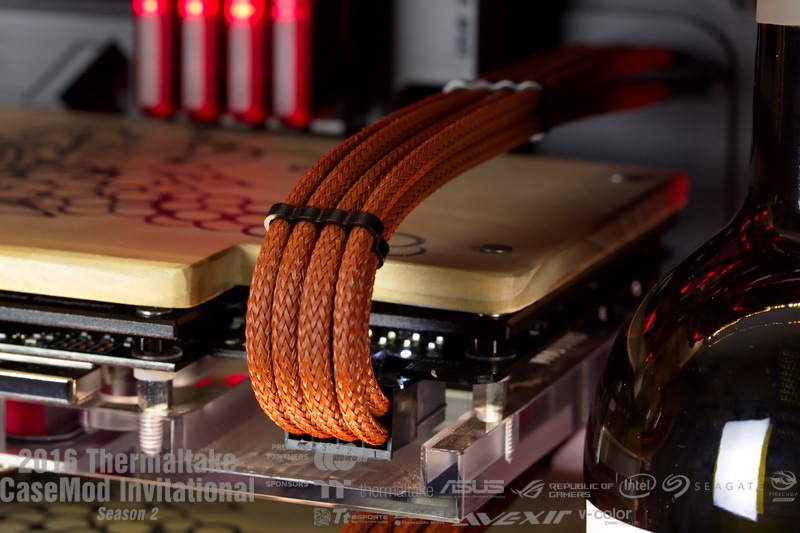 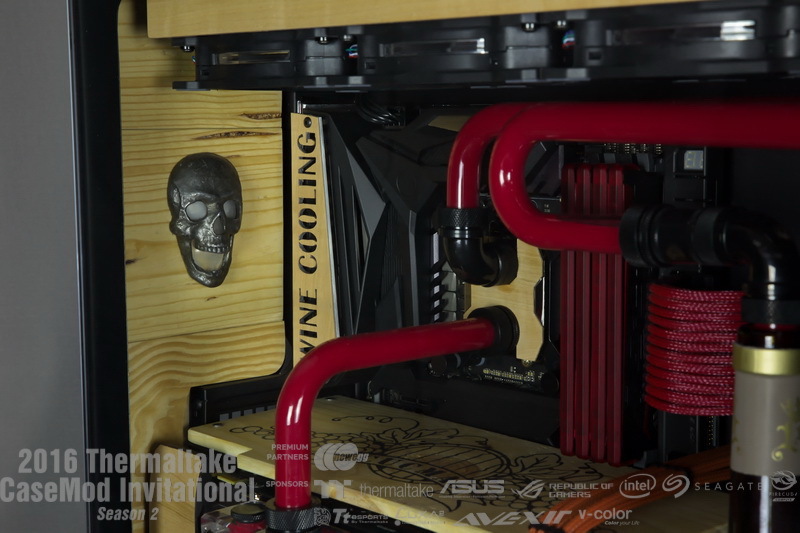 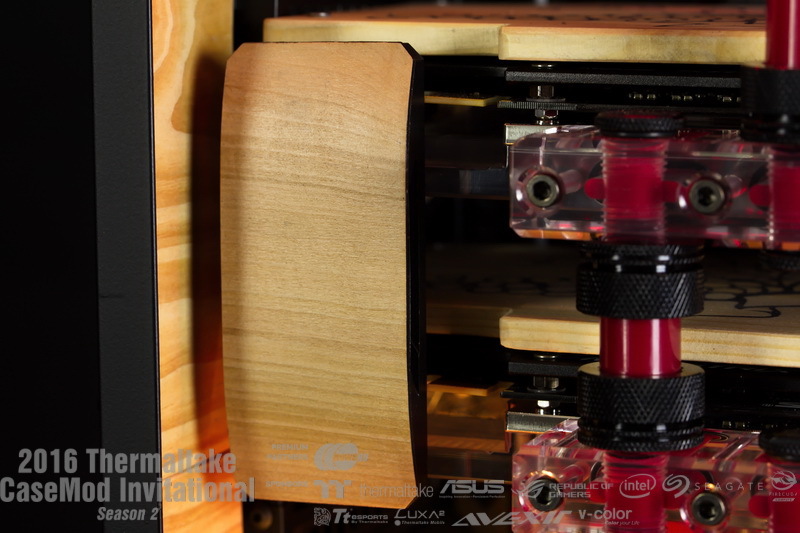 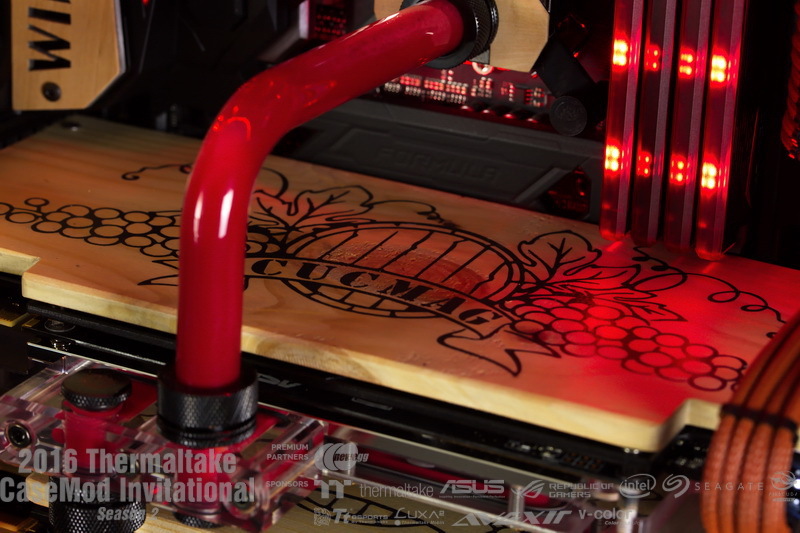 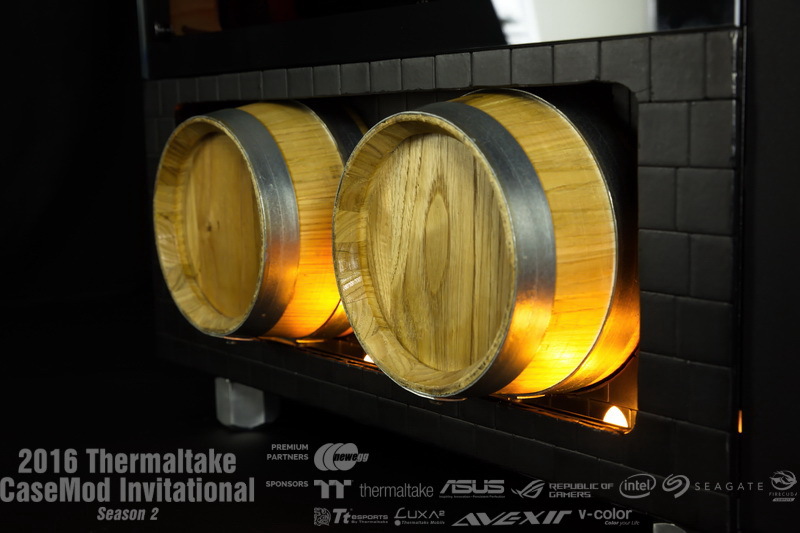 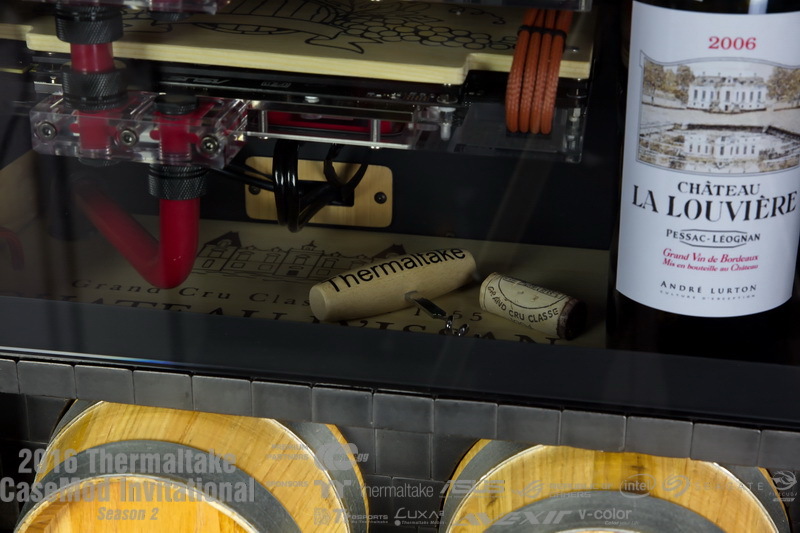 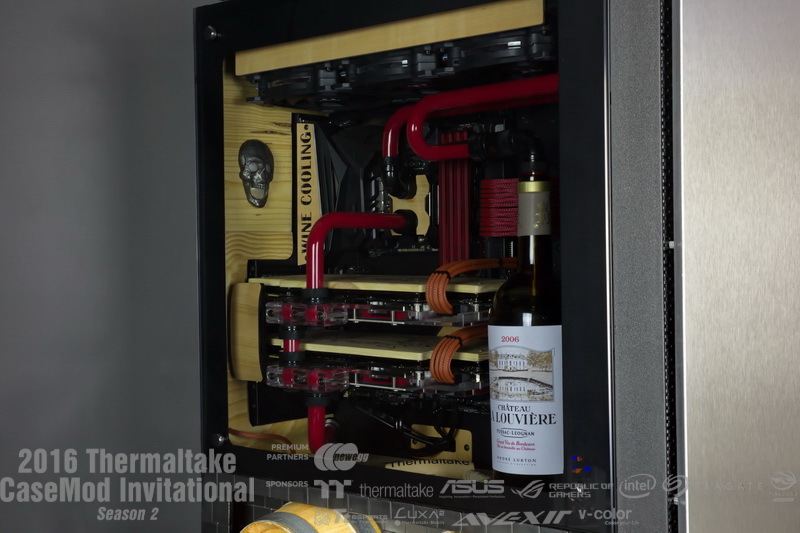 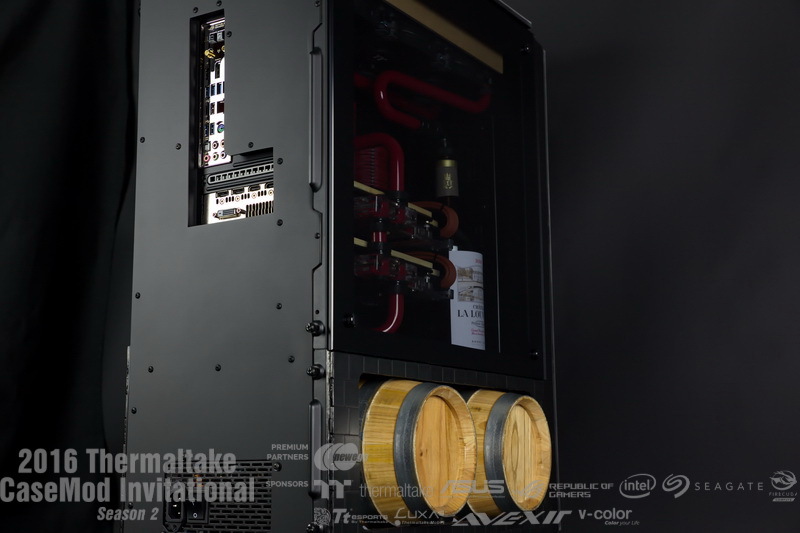 The combination of the wood & "normal" PC materials works so well.... and then the open pour of wine at the back. 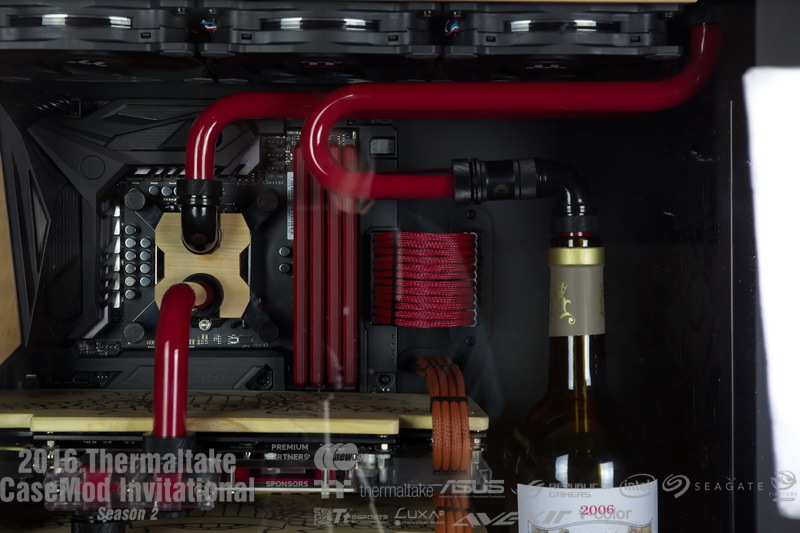 It's making me thirsty just looking at the pics. 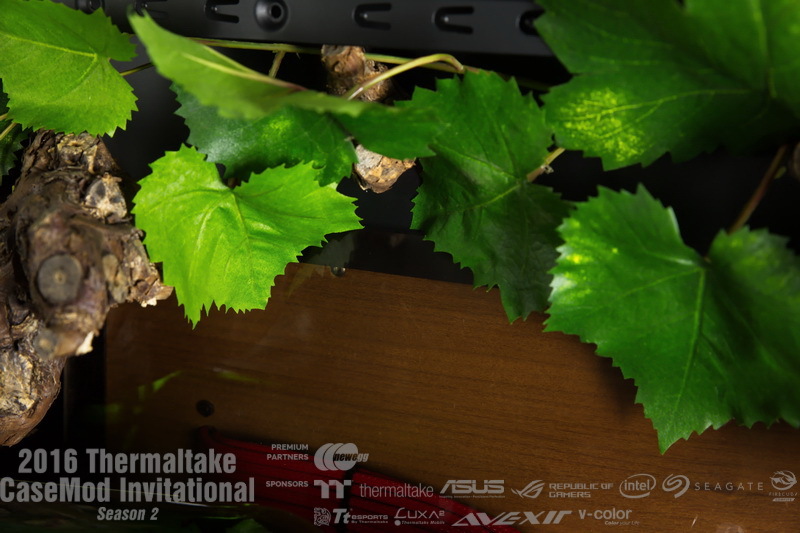 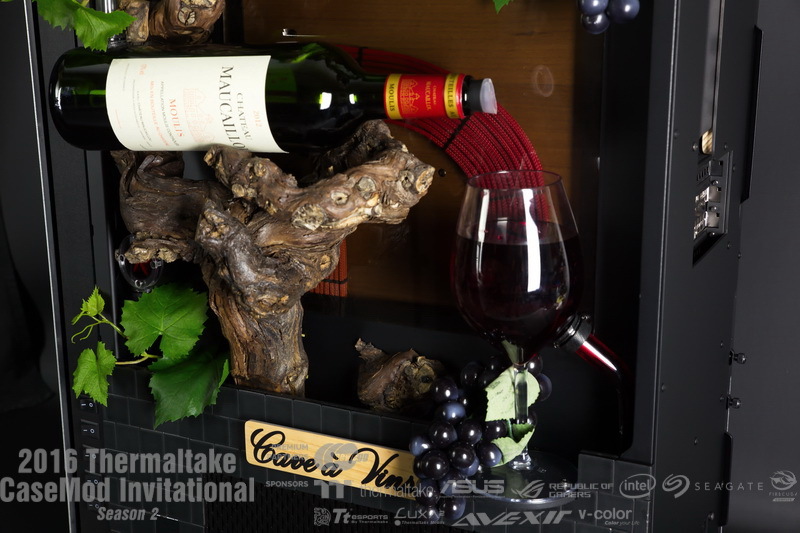 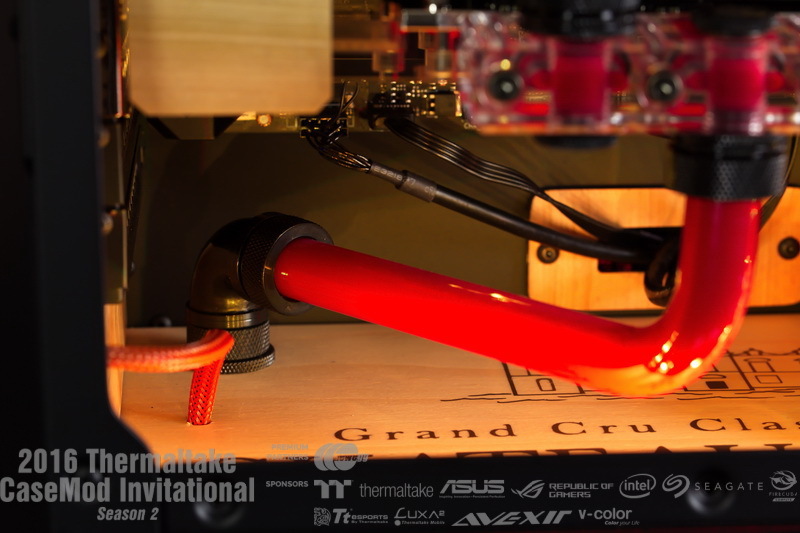 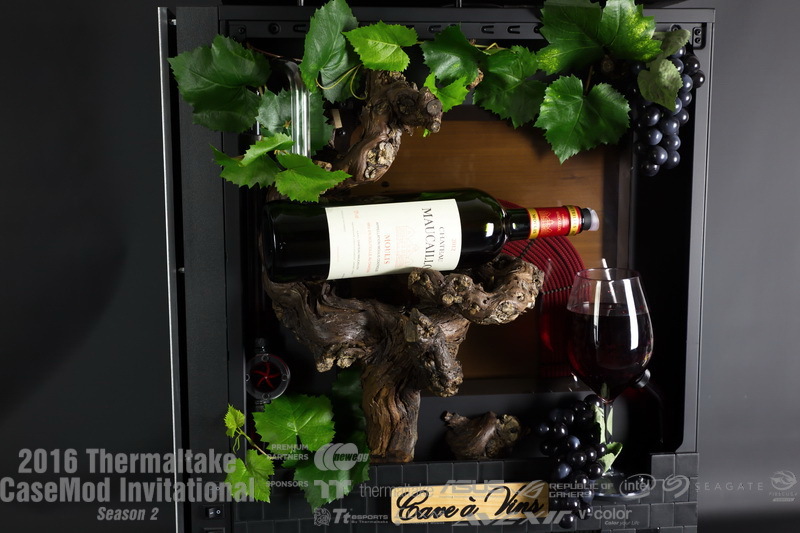 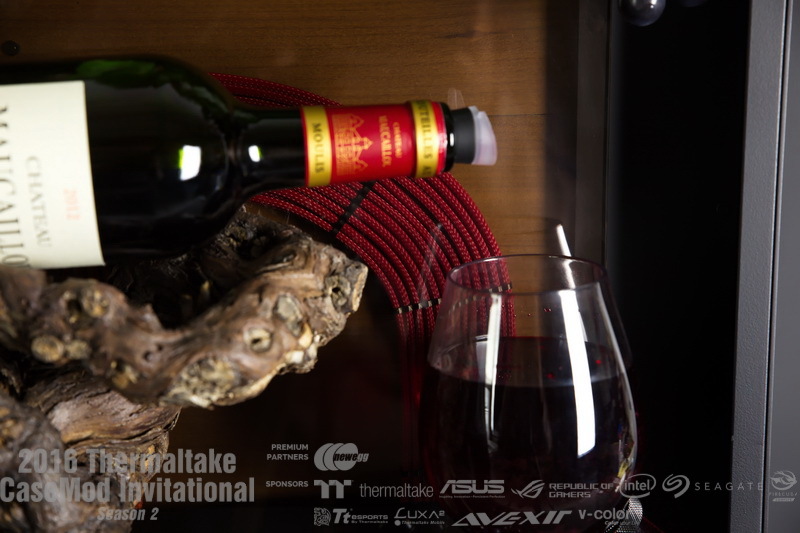 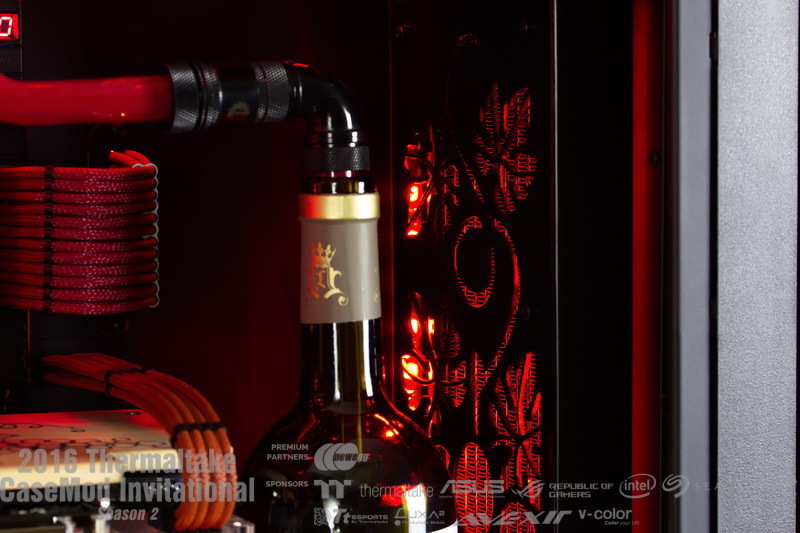 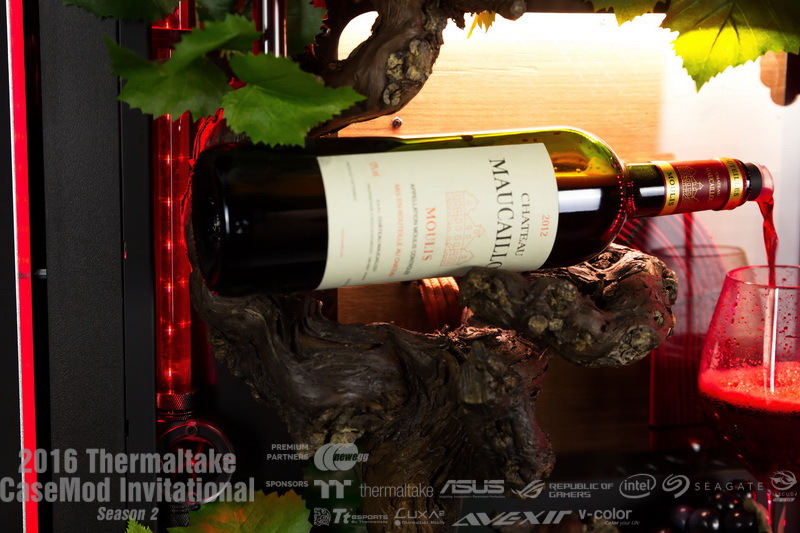 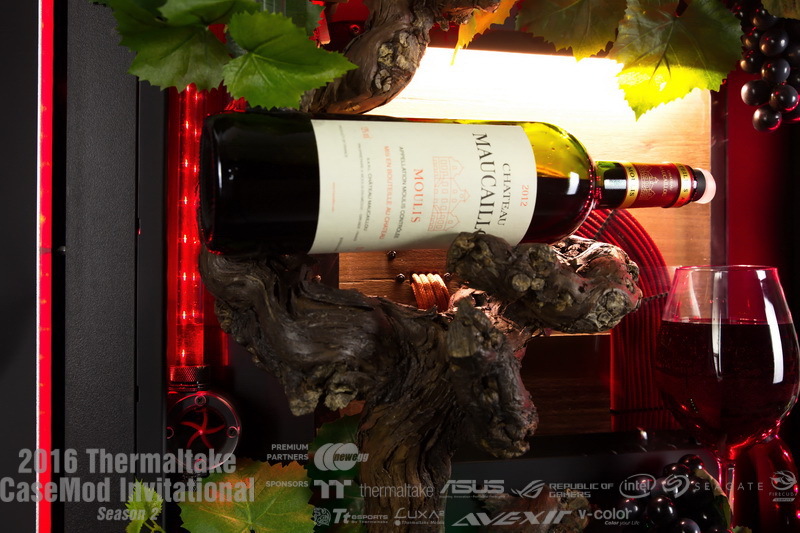 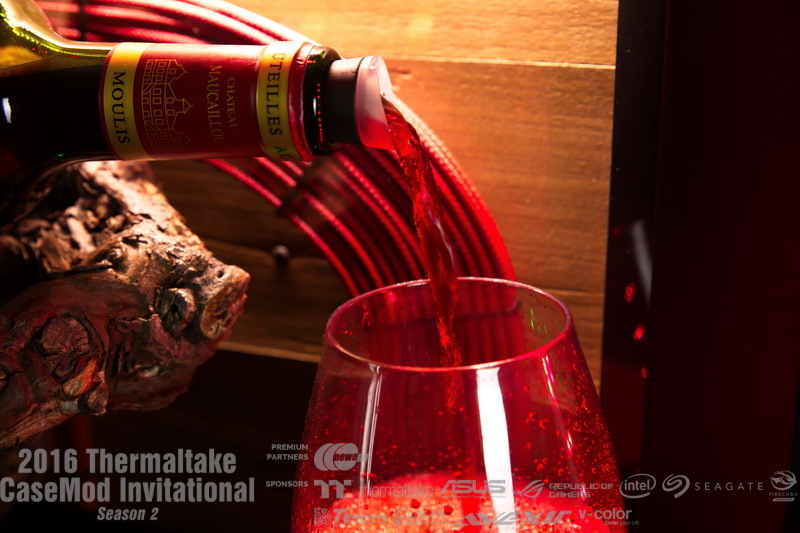 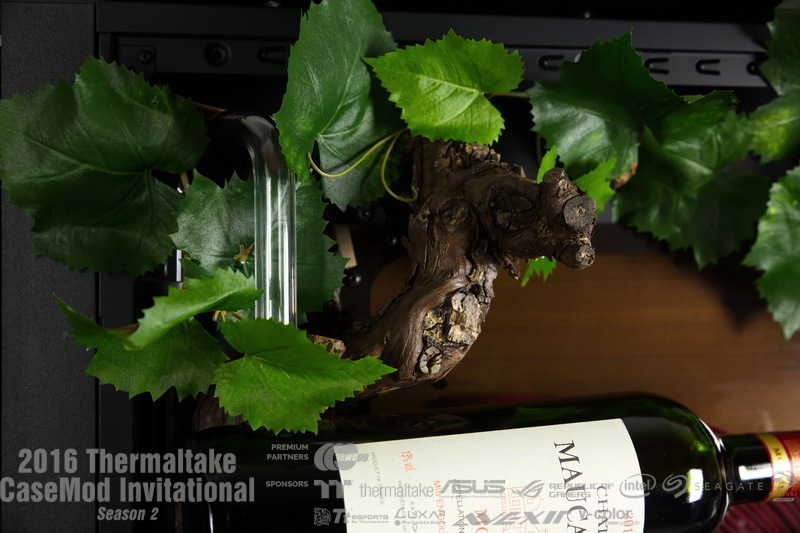 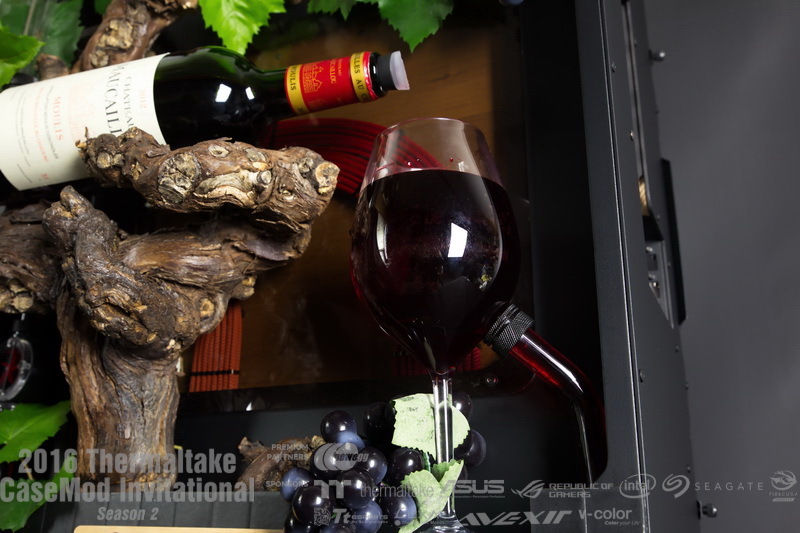 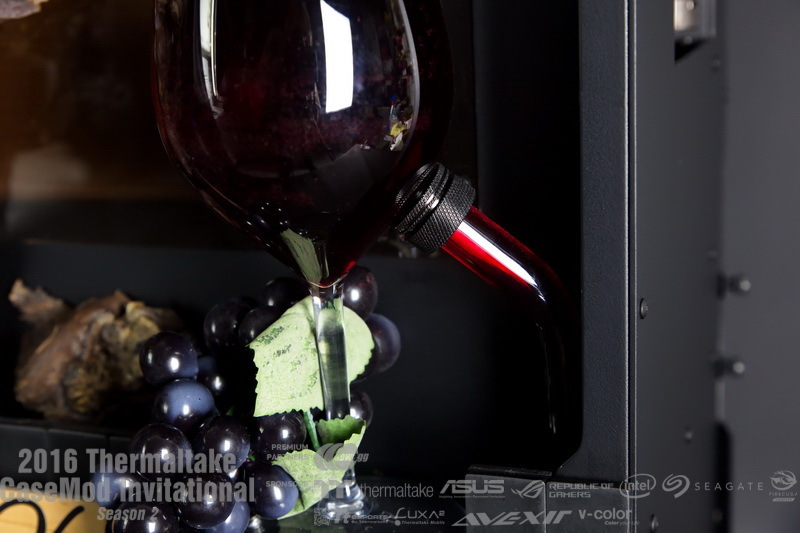 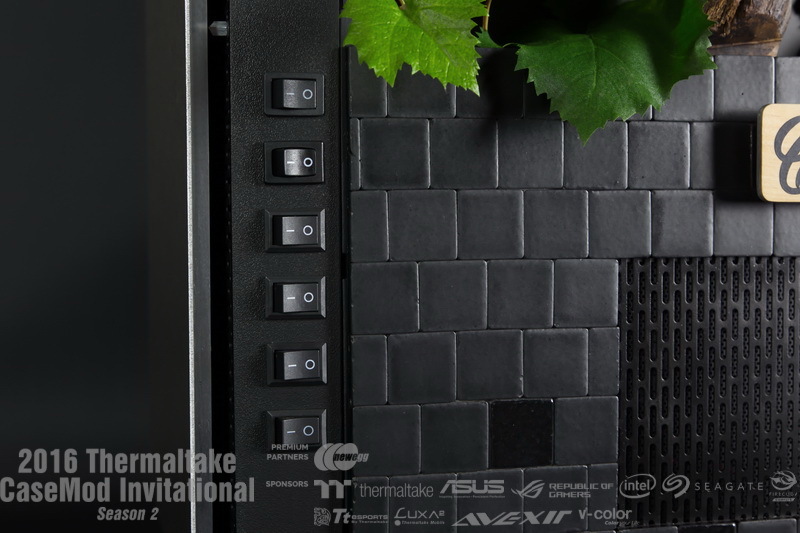 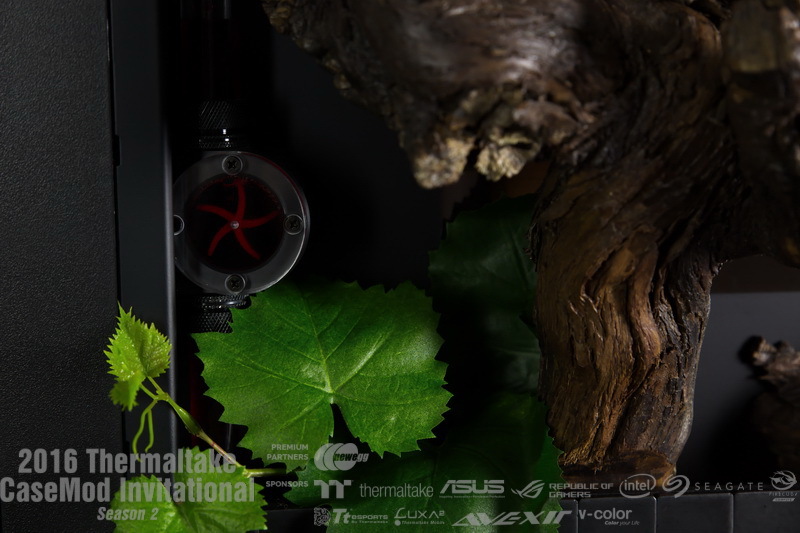 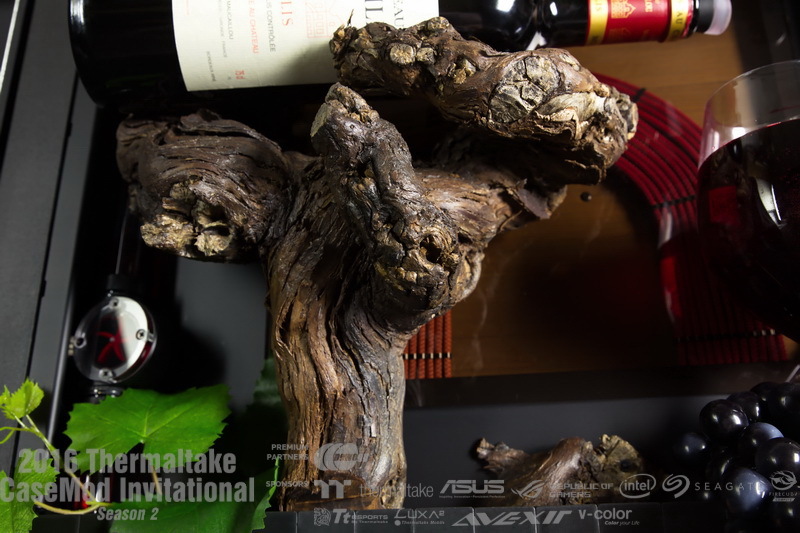 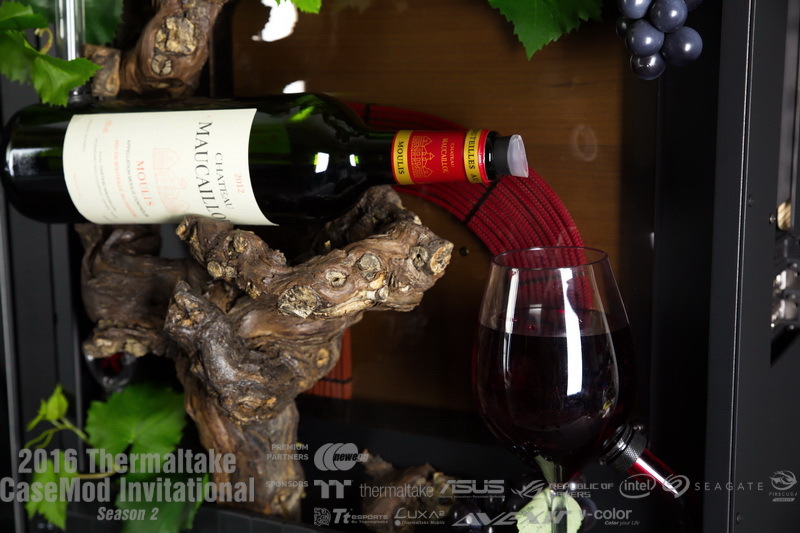 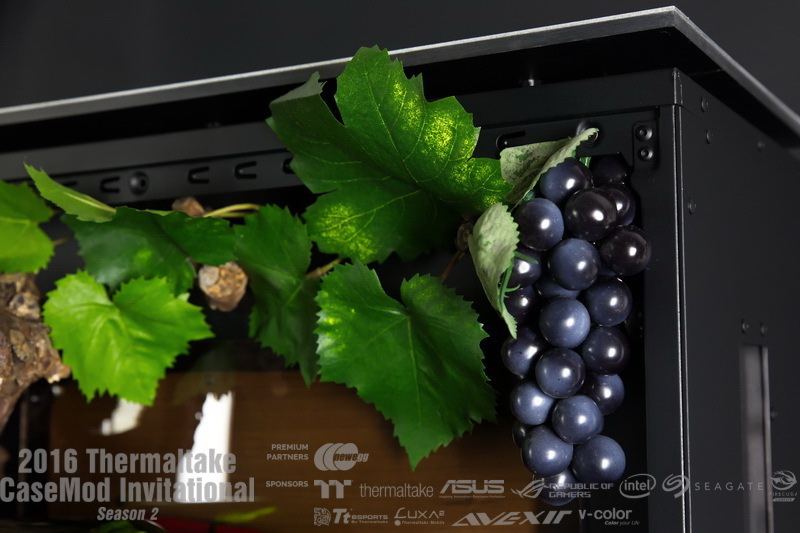 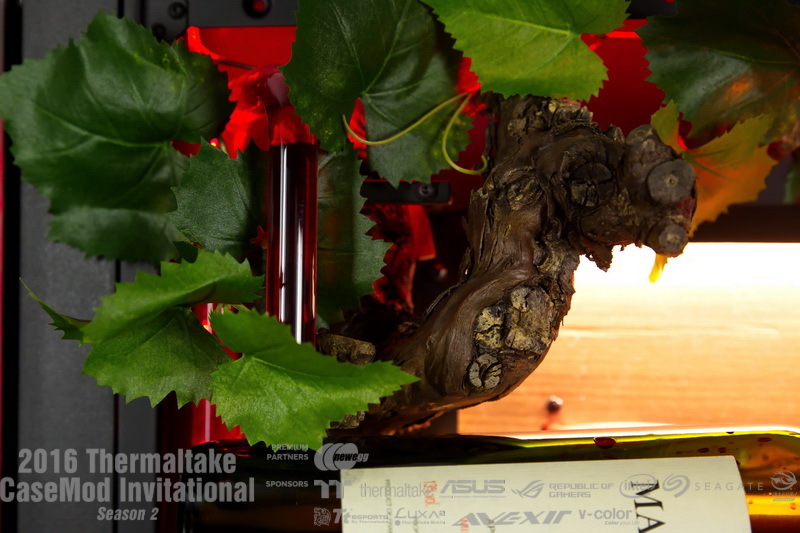 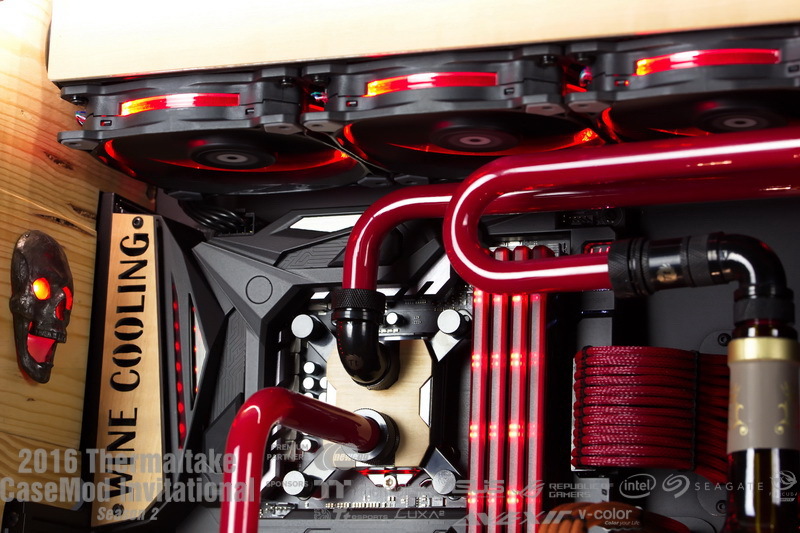 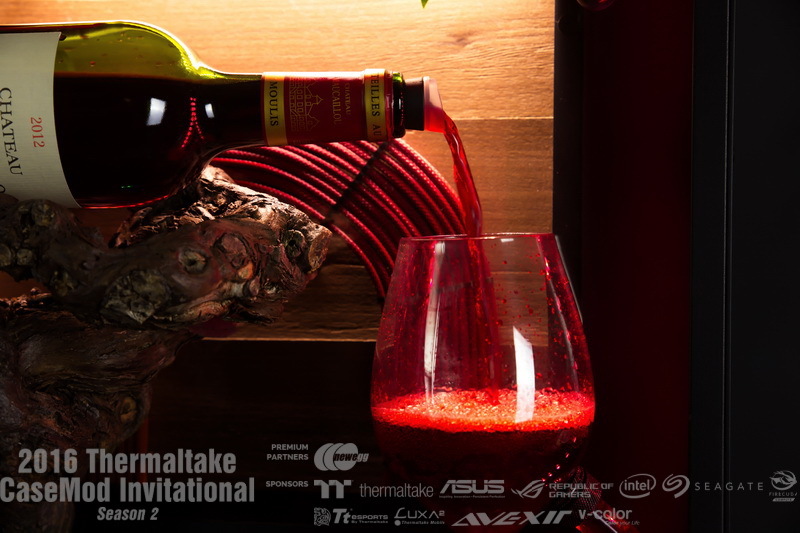 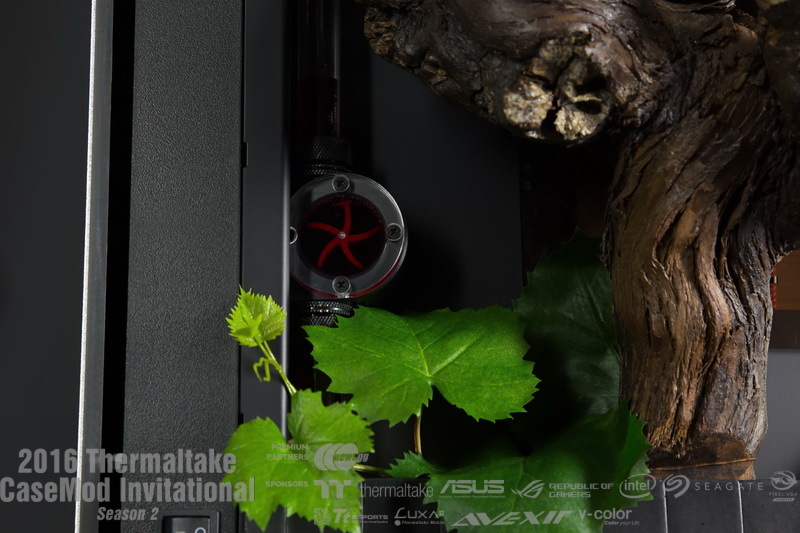 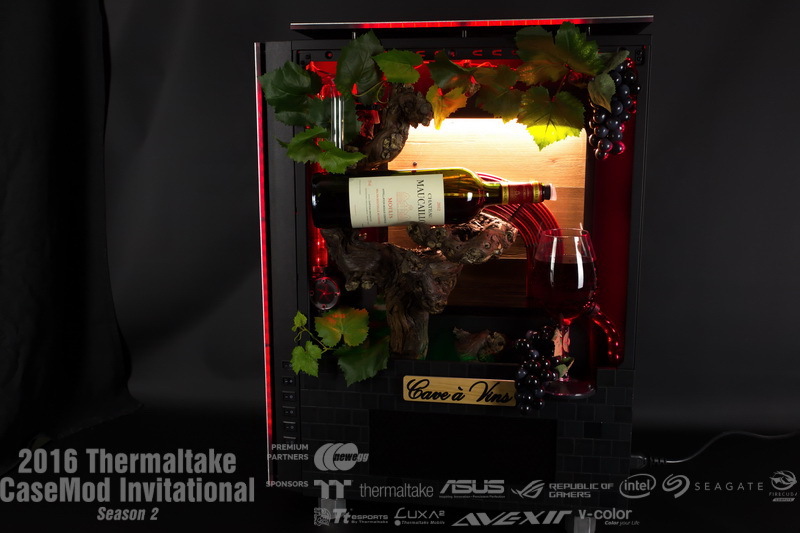 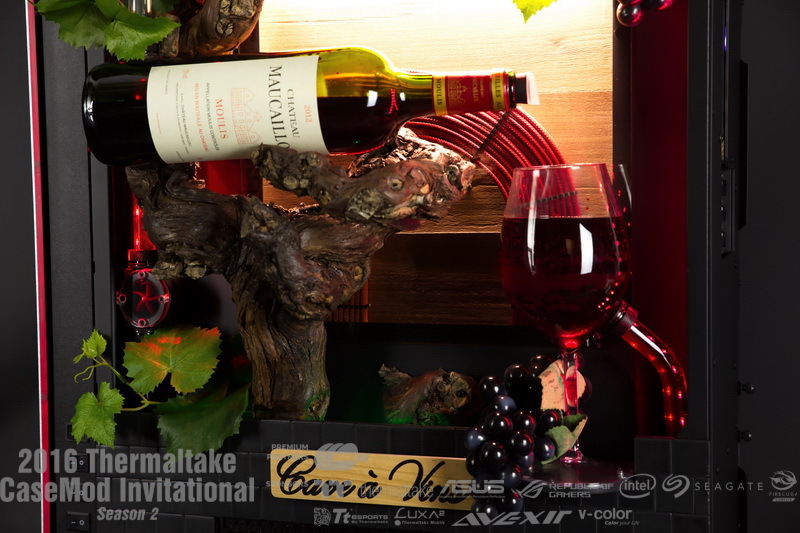 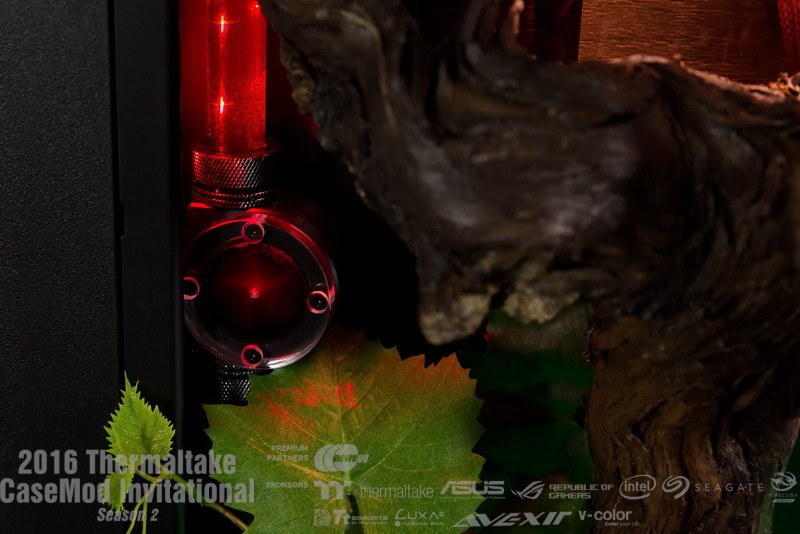 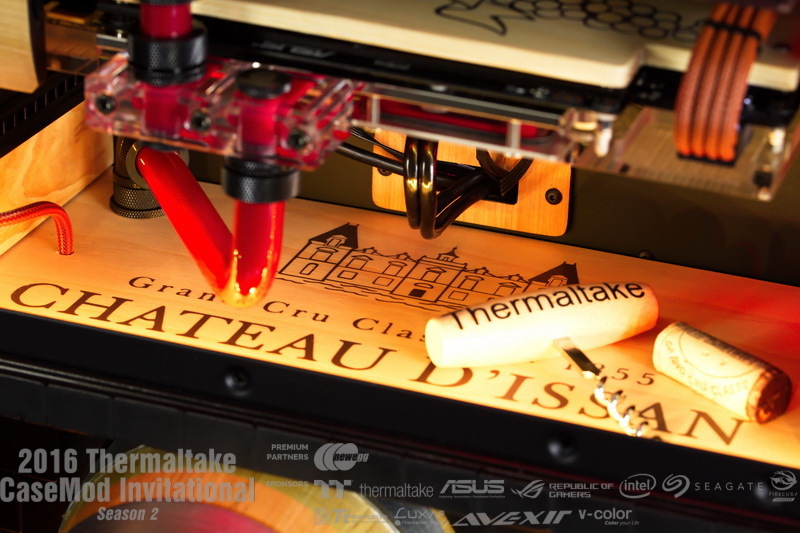 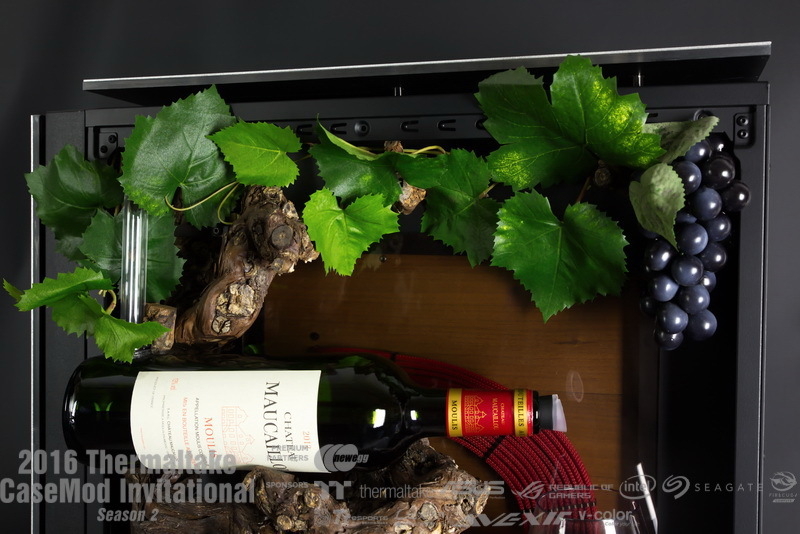 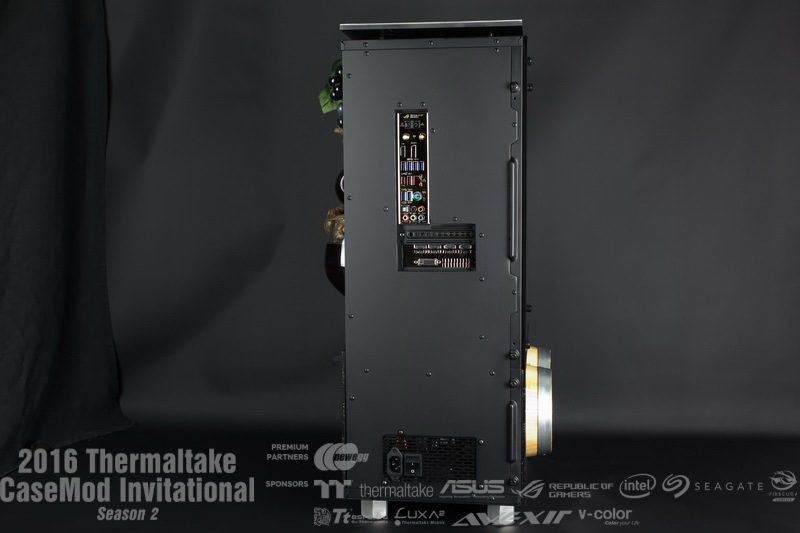 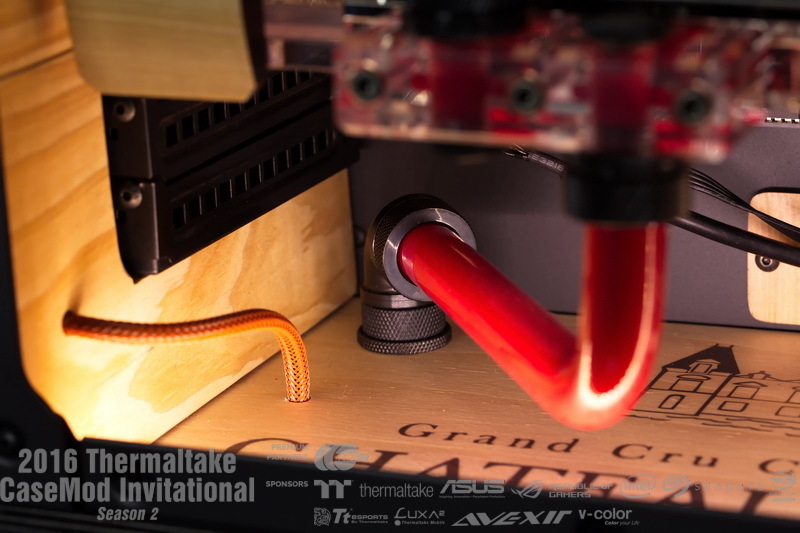 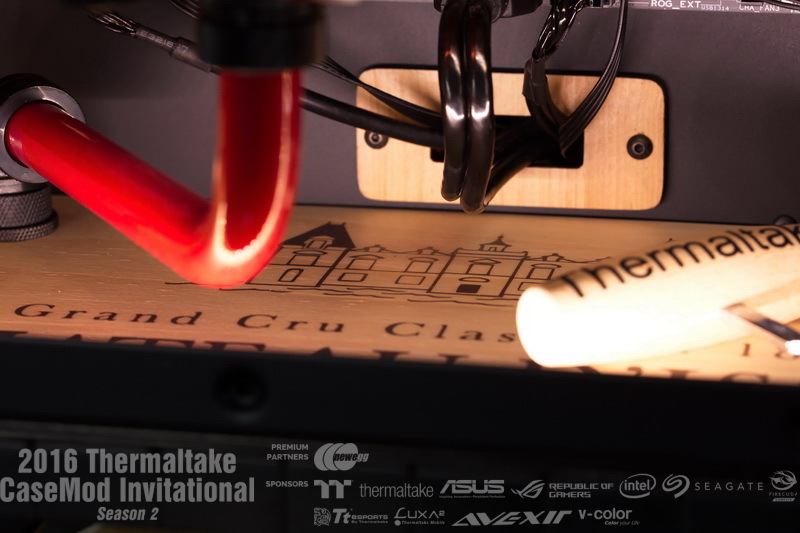 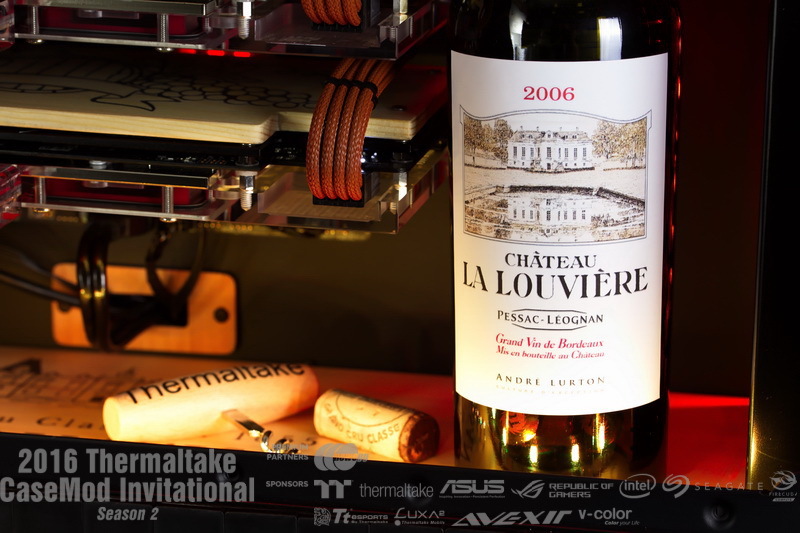 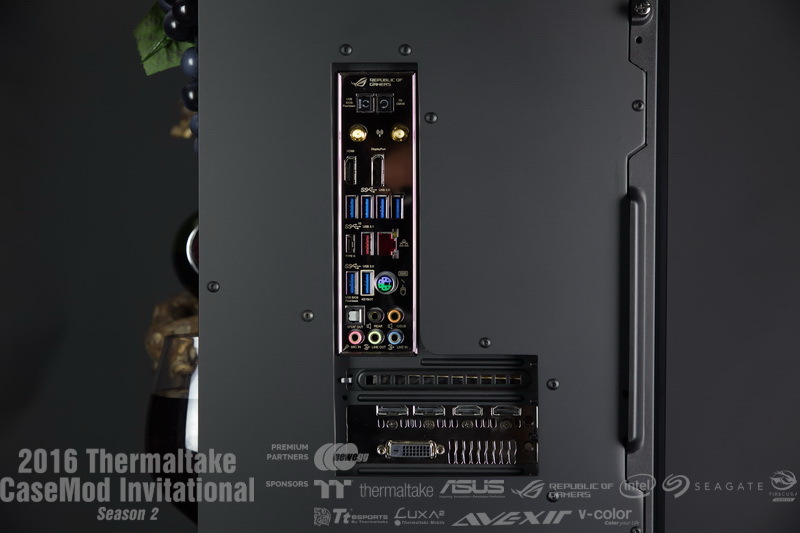 It's really awesome, beautiful and impressive... but you cannot use the this PC in real life due to the wine fountain.